Involved in a serious car accident December 1979, at the age of nineteen; I received multiple fractures to the left foot and ankle, right ankle, right leg (femur), left arm and collar bone, cheek bone and jaw. I sustained severe head injuries and nearly died on a few occasions. I spent fifteen weeks in hospital, the first nine of which I was in a semi-conscious state. Over the next four years I underwent regular physiotherapy and several corrective surgical procedures as well as acupuncture and osteopathy. Many of the following years were spent in personal growth and discovering meditation and other spiritual practices. But my body felt stiff and weak and lacking in energy. In 1987 I was recommended to try Tai Chi. 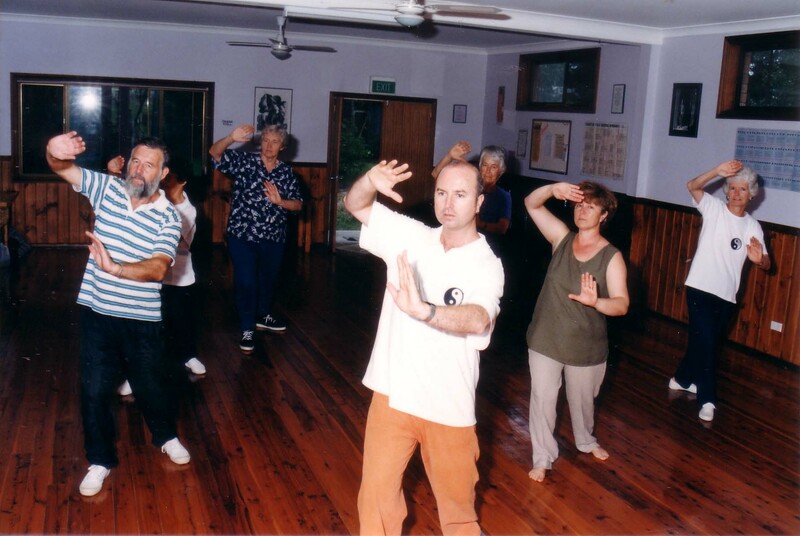 Joined the Australian Academy of Tai Chi where as a new student I learnt a modified Yang style, long form, Tai Chi Chuan. I could feel the benefits from the first class. 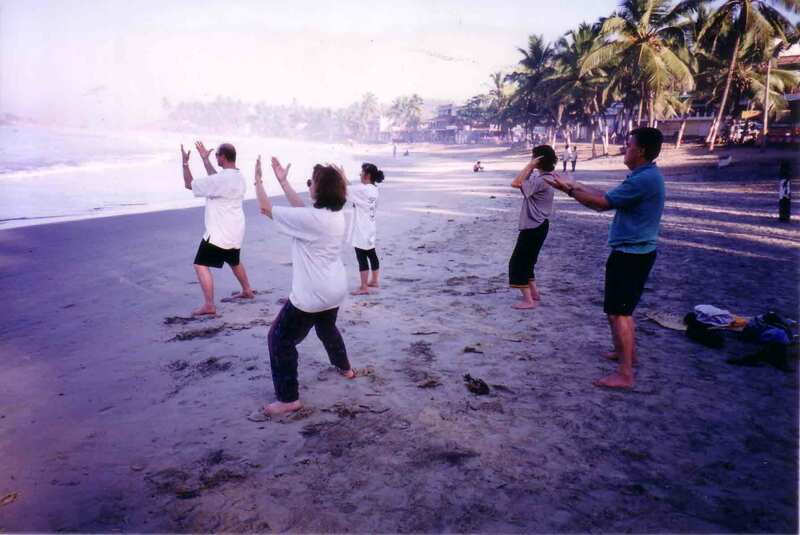 I spent two years learning the form which included some Qigong, attending one class per week. Became a class assistant attending three to four classes per week. Became trainee instructor; led classes in warm up exercises and helped students with Tai Chi practice. Attended monthly instructor training with more focus on Tai Chi postures and Qi training, involved in many demonstrations. Learnt Tai Chi Qigong Shibashi, attending four to five classes per week. Appointed Tai Chi Instructor. I took over the classes in the hall that I first started in, in Paddington, Sydney. 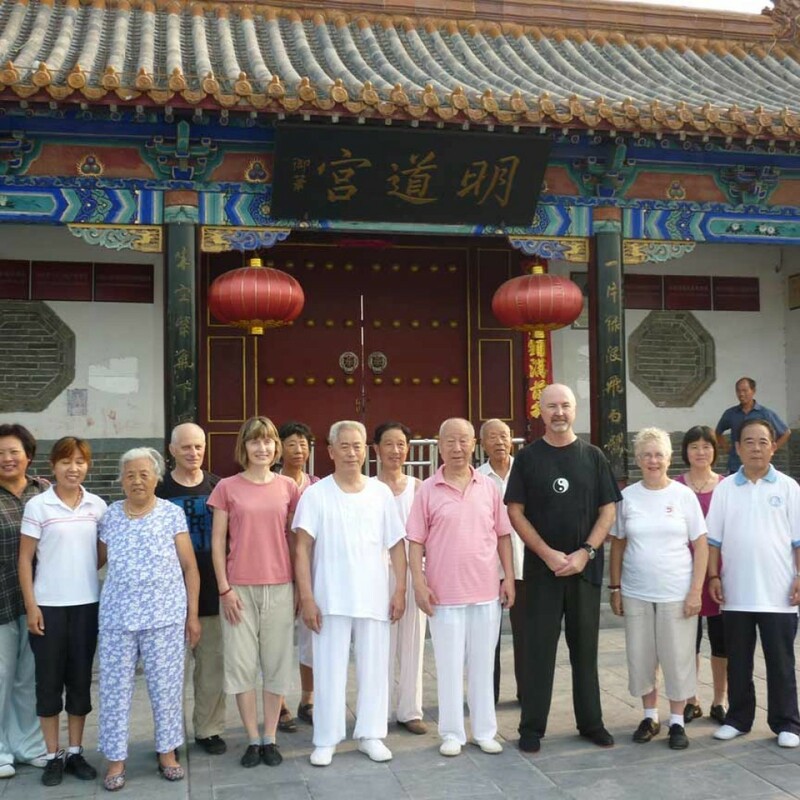 Taught part-time; held classes one morning per week, over three hours, teaching new students Tai Chi Qigong Shibashi and instructing ongoing students in Tai Chi Chuan. Also had the opportunity to teach at an actors’ college (NIDA) and at a centre for people with physical and intellectual disabilities. Learnt Lohan Qigong and Tai Chi Fan. Continued attending monthly instructors’ training and workshops and retreats organised by the Tai Chi Academy. Teaching six to seven classes per week. Part-time teacher, morning and evening classes in Paddington of three hours each. Teaching seven to eight classes per week. 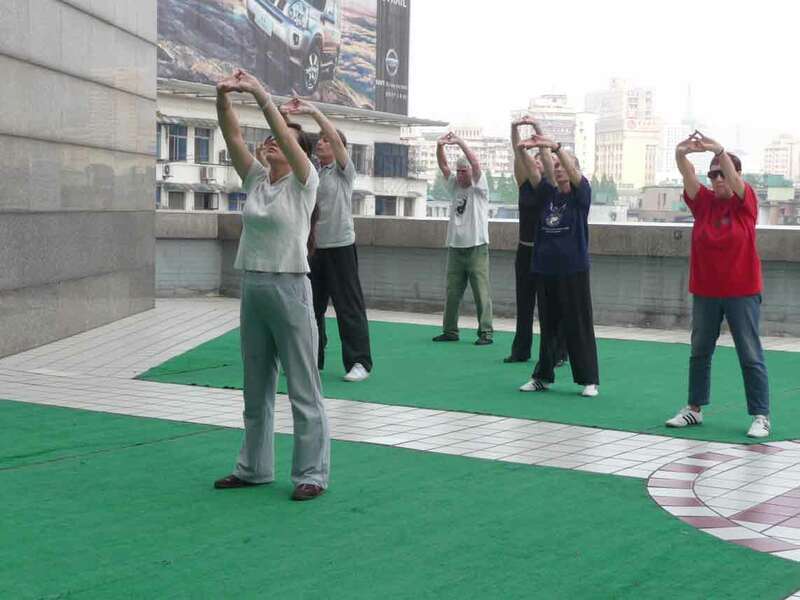 Towards the end of the year decided to pursue a career as a full-time teacher of Tai Chi and Qigong. 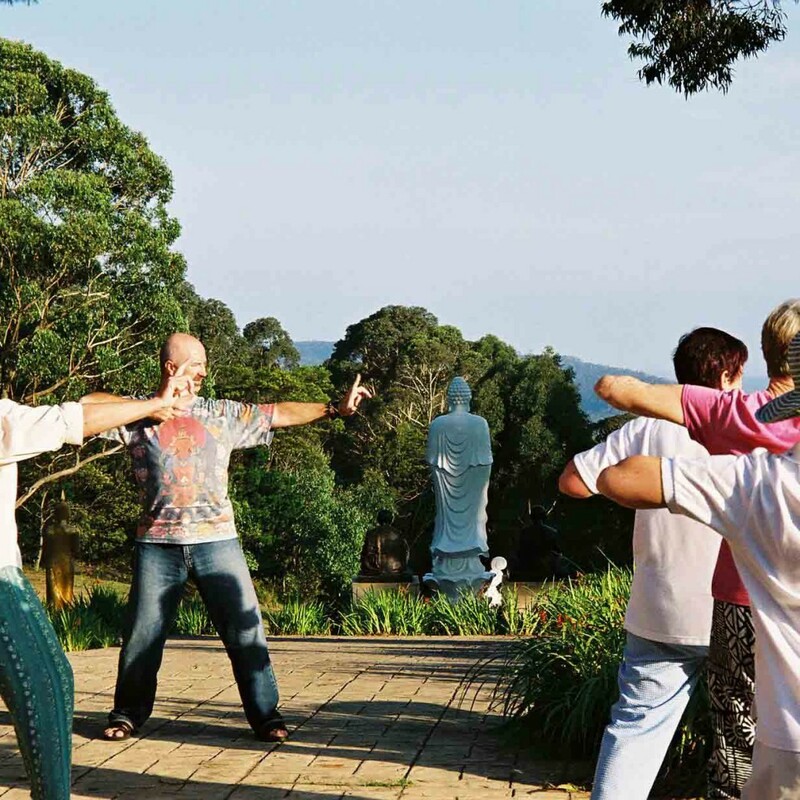 Full-time professional teacher, instructing classes for The Australian Academy of Tai Chi (AATC), teaching Tai Chi Chuan, Tai Chi weapons and Qigong. Served as head teacher Paddington Wednesday mornings and Thursday evenings, and head teacher Annandale on Monday, Tuesday and Wednesday evenings. Built up student numbers to about 160. Attended monthly instructor training and received private instruction with Master Gary Khor, president and founder Australian Academy of Tai Chi. Helped organise and assisted workshops run by Master Khor. 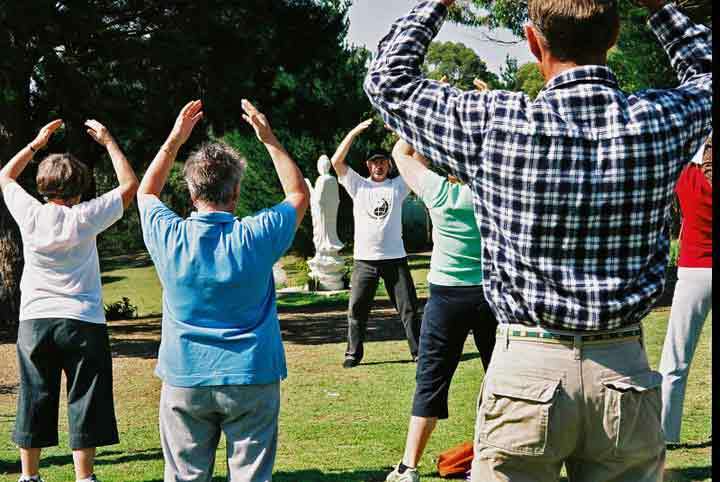 Organised regular group practice lessons in local parks. Ran demonstrations and introduction lessons for many health promotions and lifestyle festivals. Instructed classes at Sydney University and Sydney College of Arts for the Student Union for three years. Invited to teach at a Drug and Alcohol Rehabilitation Centre, We Help Ourselves (WHO’s) 1992 which I still continue to this day. Conducted classes within the prison system at gaols for both men and women, two years. Taught at many firms and government departments (Dept of Health, Family and Community Services; Dept of Veterans’ Affairs; Roads and Traffic Authority; several Area Health departments) as a relaxation therapy for the staff, during lunchtime and after work. Conducted classes at various centres for people with intellectual disabilities and organised a combined class in which four different centres would attend (one year). Conducted class at ‘The Sanctuary’, Glebe, Sydney, for people with HIV on a voluntary basis (one year). 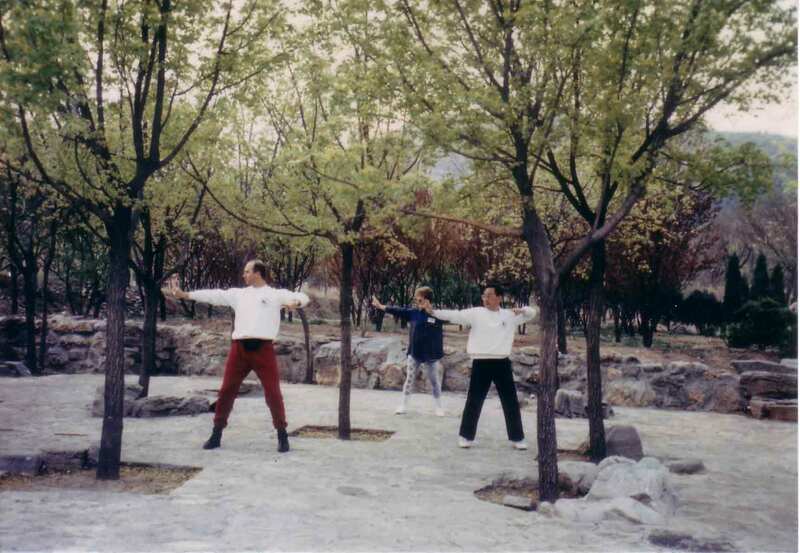 1994 met Qigong Grand Master Jack Lim, learnt Xing Ming Gong (Spiritual and Physical body training). 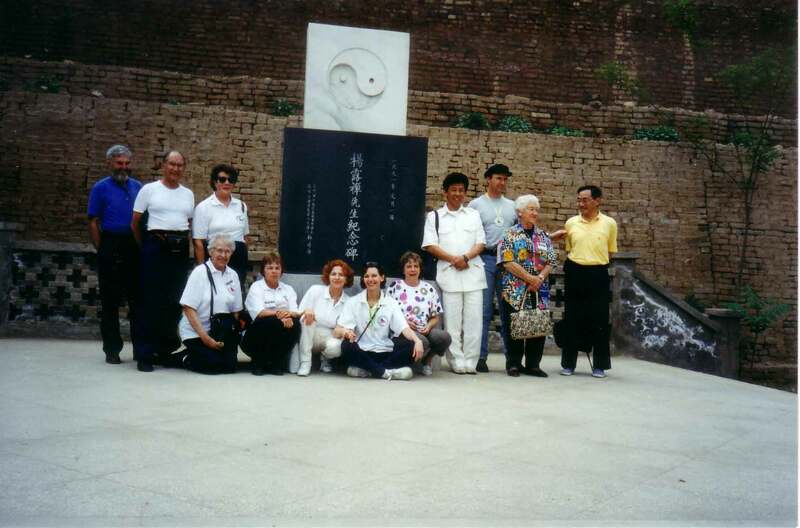 April 1995 went on a study tour to China with AATC, visiting Beijing, Taishan, Qufu, Xian and Shaolin on my second trip to China. June 1995, met Master William Ho, Master Ho had just arrived from Taiwan and is a traditional Yang style Tai Chi Chuan Master. 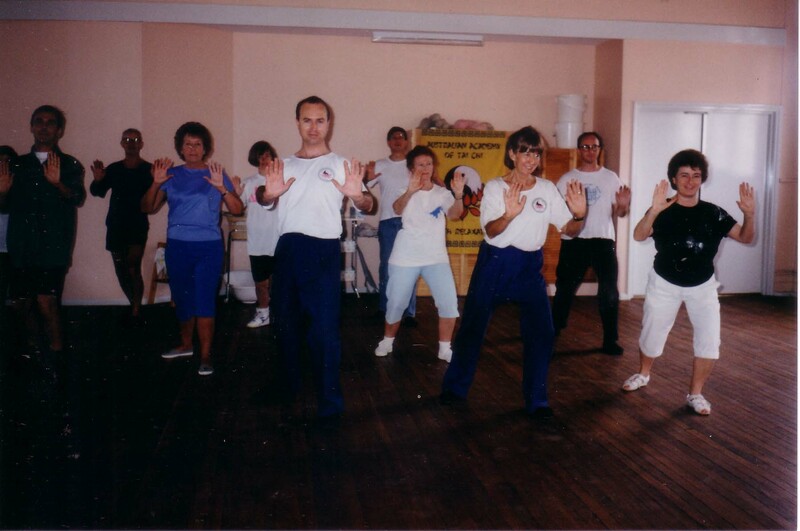 End of 1995 left AATC to study more traditional forms of Tai Chi Chuan and Qigong. Through this period I was teaching an average of twenty classes per week. 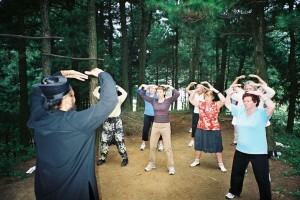 Fulltime independent Tai Chi/Qigong teacher. Established classes with Kirribilli Neighbourhood Centre, Monday evening (three hours) and Eastern Suburbs Community College, Tuesday evening (three hours) in Sydney. New classes for the student union, University of NSW (continued for seven years) and Sydney College of the Arts (two years). New classes for staff at various Government Departments and businesses established my own venues. 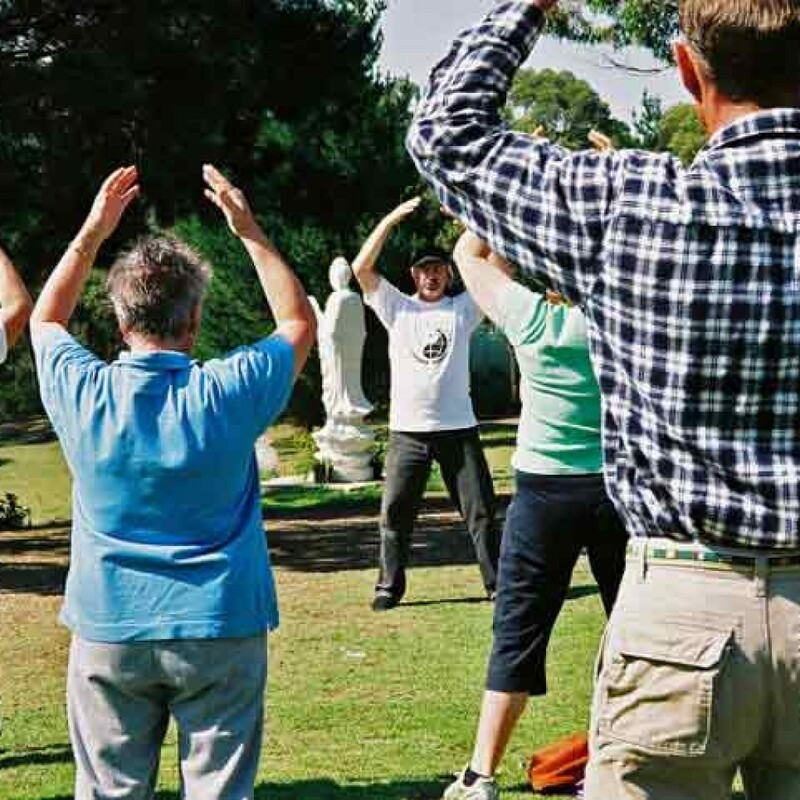 Assisted Qigong Grand Master Jack Lim (Founder of Jack Lim Qigong Academy, Melbourne, Australia) with workshops and talks when in Sydney and receive personal instruction and guidance on Qigong Meditation, Xing Ming Gong, Secret Six Healing Sounds Qigong and Great Stork Qigong. Master Lim is a member of the Qigong Waiqi Standards Committee of the International Qigong Science Association, Beijing; a member of the Standing Committee of the International Qigong Science Association Beijing; and of the Standing Committee of the World Academic Society of Medical Qigong, Beijing. 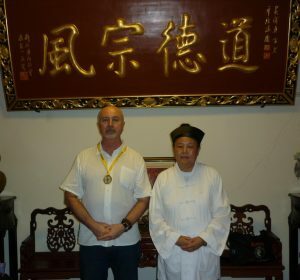 I travelled to Melbourne and stayed with him and his wife Fiona, a Doctor of Traditional Chinese Medicine, continuing my training and understanding of the Qi energy. 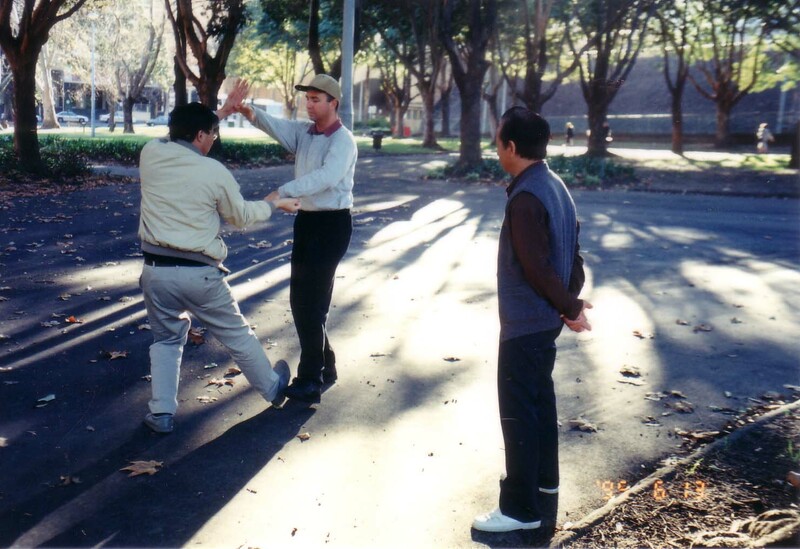 1995 commenced training with Master Ho in Traditional Yang style Tai Chi Chuan receiving personal instruction in short form, 24 movements and long form, 85 movements. Tai Chi straight sword, 32 and 56 movements. Push hands and basic Tai Chi Acupressure Massage. 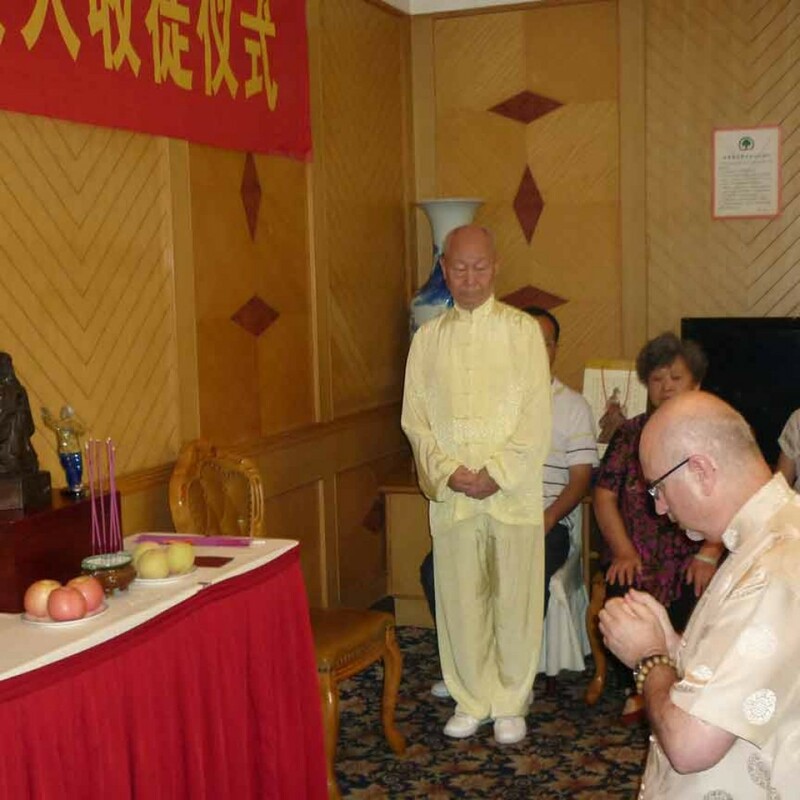 Assisted Master Ho in establishing his school, Ancestral Tai Chi in Sydney, teaching new students and involved in many demonstrations for Chinese festivals and on television. 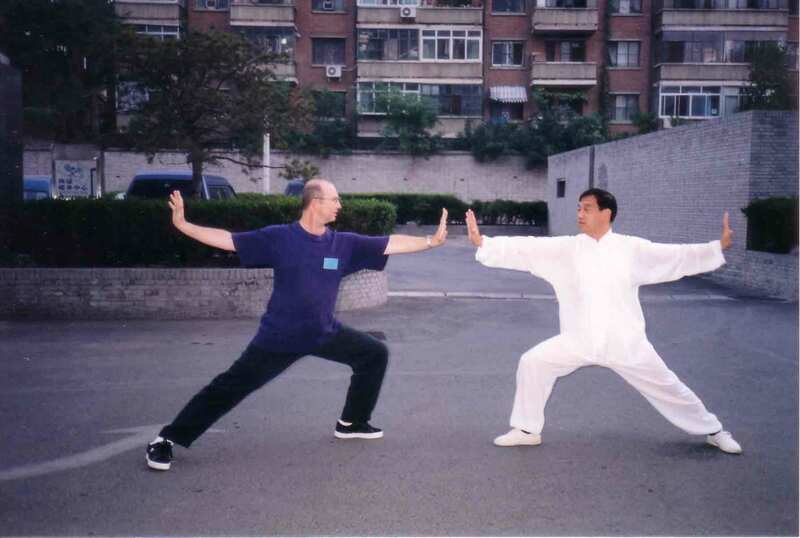 1997 I learnt Ba Duan Jin (Eight Pieces of Brocade) standing form with John Dolic, publisher of Qigong Chinese Health Magazine and a practitioner of Chinese Medicine and teacher of Qigong and Wushu. 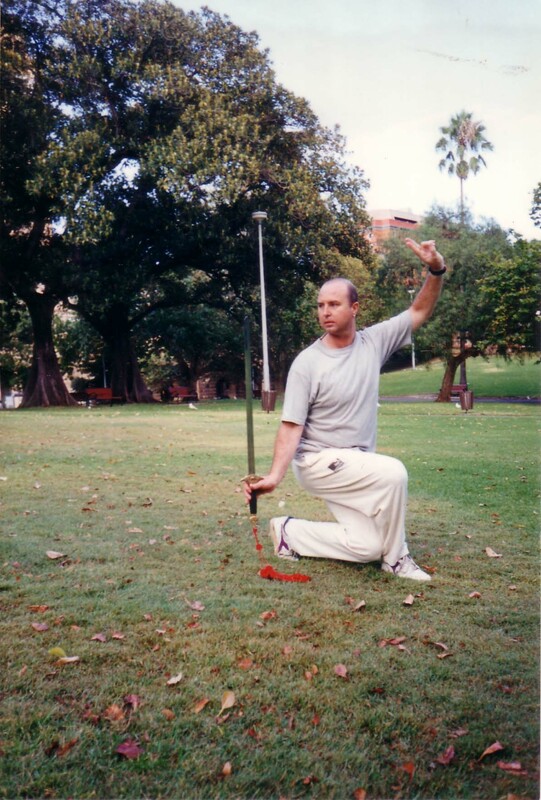 1998 a competitor in The Battle of the Dragons, Tai Chi Chuan and Wushu Competition, Sydney. Performed 24 form and 32 sword form, wining first place, open 32 step Tai Chi Straight sword. Since 1989 involved with the Sydney Mind Body Spirit Festival, which is one of the largest festivals for natural and alternative therapies and one of the first of its kind in Australia? 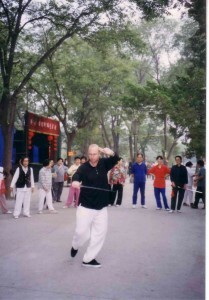 Firstly with the AATC, talking to the general public and participating in group demonstrations on the main stage, then assisting Jack Lim in 1995 and 1996. From 1997 to 2002 I had my own stand, Simon Blow Qigong, where I presented Qigong to the general public, with feature solo talks and demonstrations. In 1998 and 1999 at the Mind Body Spirit Festival I was a feature presenter conducting two hour workshops on the healing benefits of Qigong. Involved in many radio, television and newspaper interviews promoting Qigong and the festival. 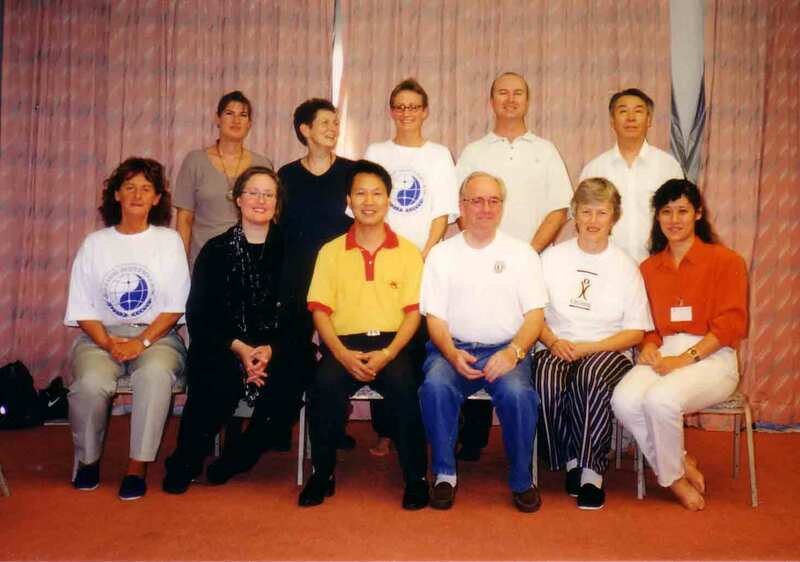 September 1998 attended the fourth World Conference on Medical Qigong in Beijing. Received certification in the advanced Medical Qigong course conducted by Master Huang Dingrong on Longteng Qigong (Dragon Flying Qigong). 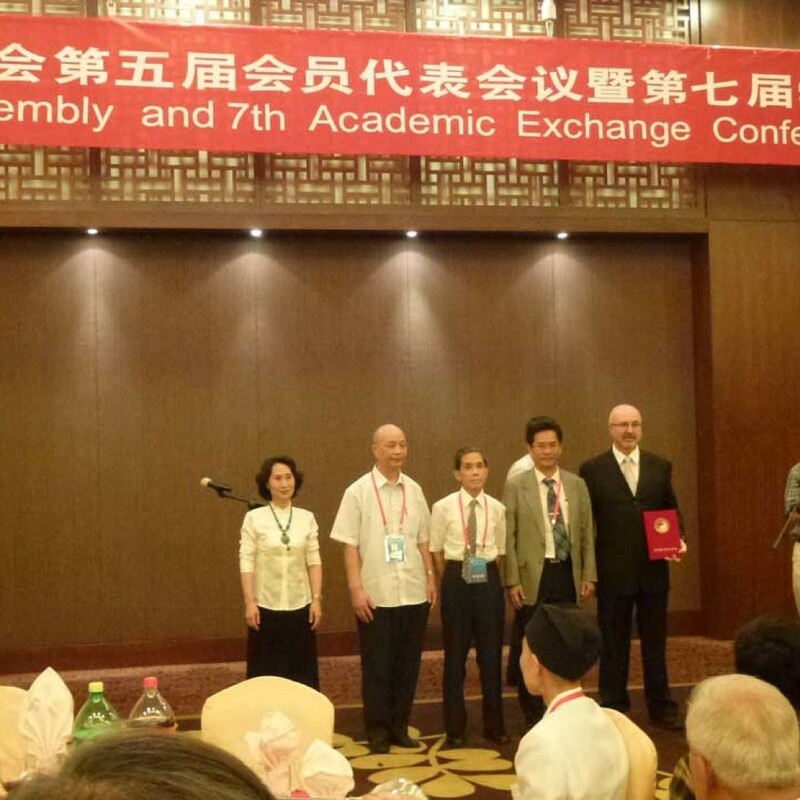 Became a member of the World Academic Society of Medical Qigong based in Beijing. In 1997 I started presenting regular one day workshops/seminars and through this period I was teaching an average of twenty classes per week. In 1998 I was given the title of Qigong Master by Qigong Grand Master Jack Lim. 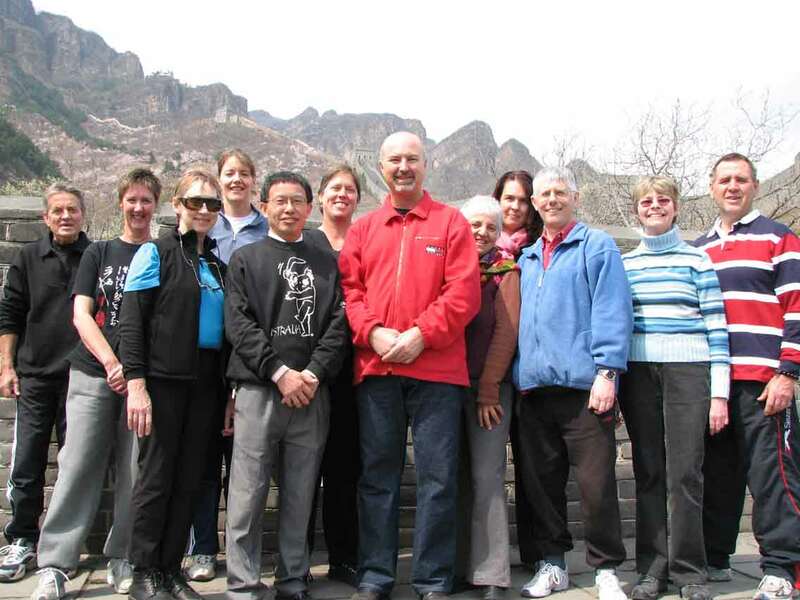 Since 1993 when I started teaching Qigong fulltime I have averaged twenty classes per week. Conducted an average of ten workshops/seminars per year during this period. 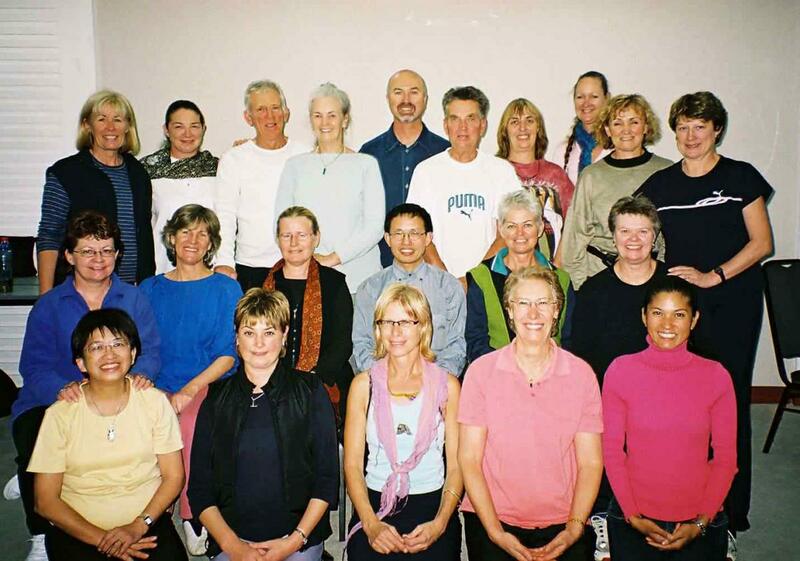 2001 to present, travelled to regional areas conducting workshops/seminars on an annual basis (Bendigo, Echuca, Wangaratta, Beechworth, Albury, Goulburn, Bundanoon, Camden, Tamworth and Coffs Harbour) sponsored by local Tai Chi/Qigong teachers. 1999 to present taught classes at We Help Ourselves (WHOS) MTAR program (Methadone to Abstinence Residential) Drug Rehabilitation Program. 1999 produced my first video – ‘The Art of Life’ which includes popular Qigong sets Ba Duan Jin standing form and Tai Chi Qigong Shibashi. 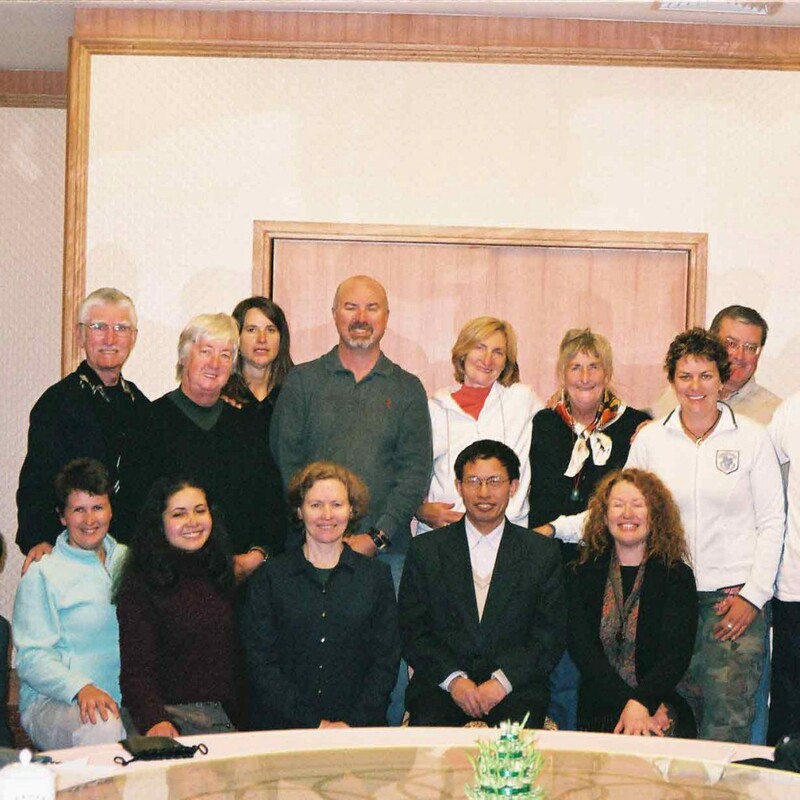 September 1999 led my first study tour to China with the assistance of Jack Lim who helped organise the itinerary and the contacts in China. 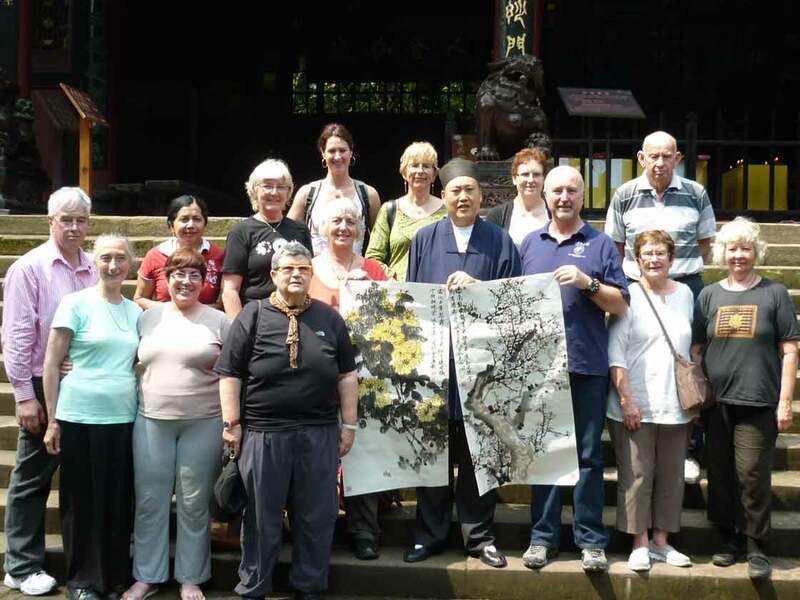 Visited Beijing, Xian, Wudangshan, Wuhan, Nanjing and Shanghai with eight students exchanging ideas with members of the Qigong Association in Xian, Wudangshan and Nanjing. I gave talks and demonstrations on the types of Qigong that I teach and the type of people that attend my classes and the groups that I work with. 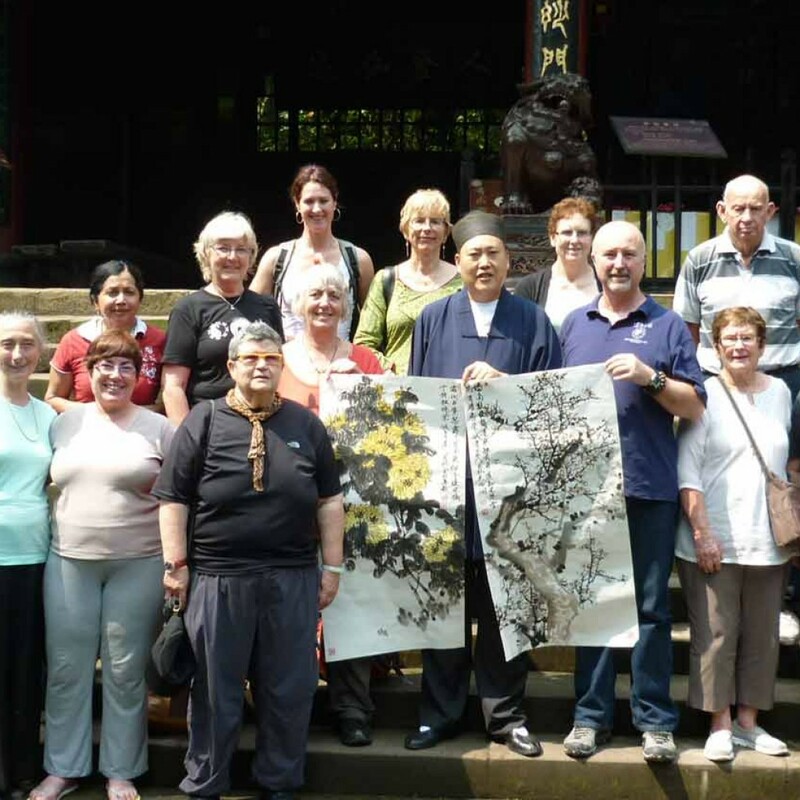 In Wudangshan we received formal training in Taoist Qigong from Grand Master Zhong Yunlong, director Mt Wudang Taoist Wushu College and Taoist Priest Purple Cloud Palace in Tai Chi Hunyuan Zhuang Qigong. 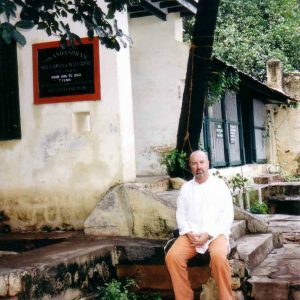 2000, I produced two Qigong Meditation CDs – ‘The Heavenly Orbit’ and ‘Five Elements Qigong Meditation’. 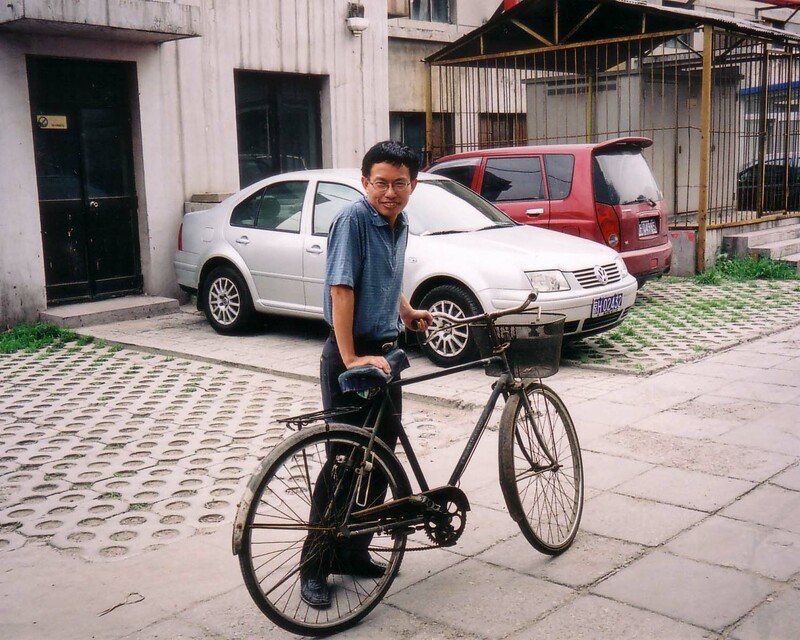 2000 led my second tour to China, visiting Beijing, Xian, Wudangshan, Nanjing, Huangshan (Yellow Mountain) and Shanghai. Formal training at Wudangshan from Master Zhong in Dan Fang Ba Duan Jin, sitting form. Received a letter from Master Zhong stating that I have absorbed the Essence of the teachings in 1999 and 2000 and giving me the authority to share these methods to contribute to the wellbeing of the human race. 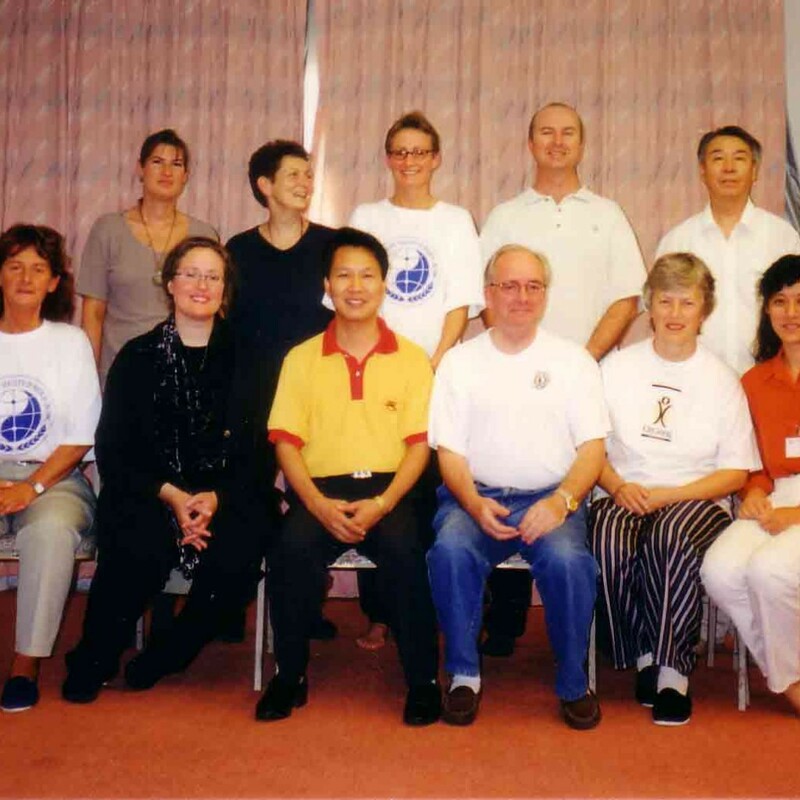 1999 and 2000 a judge at the Peaceful Challenge, Australian Tai Chi and Wushu titles. 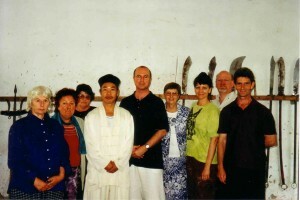 1999 asked to join the organising committee of the newly established Australian Qigong Association. The association split up into a few splinter groups after about one year. 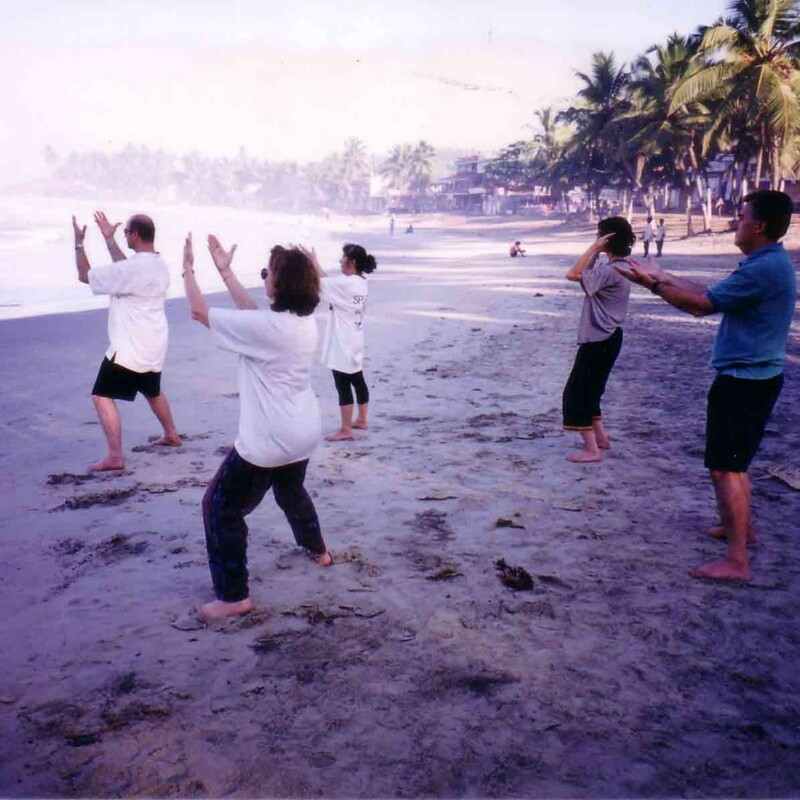 By mid 2001 decided to stop teaching Tai Chi Chuan, I had stopped teaching weapons a few years previous and felt that the martial forms of Qigong were limiting my spiritual growth. 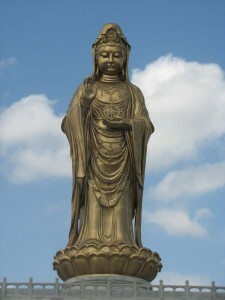 Decided to concentrate on sharing the healing and spiritual benefits of Qigong. 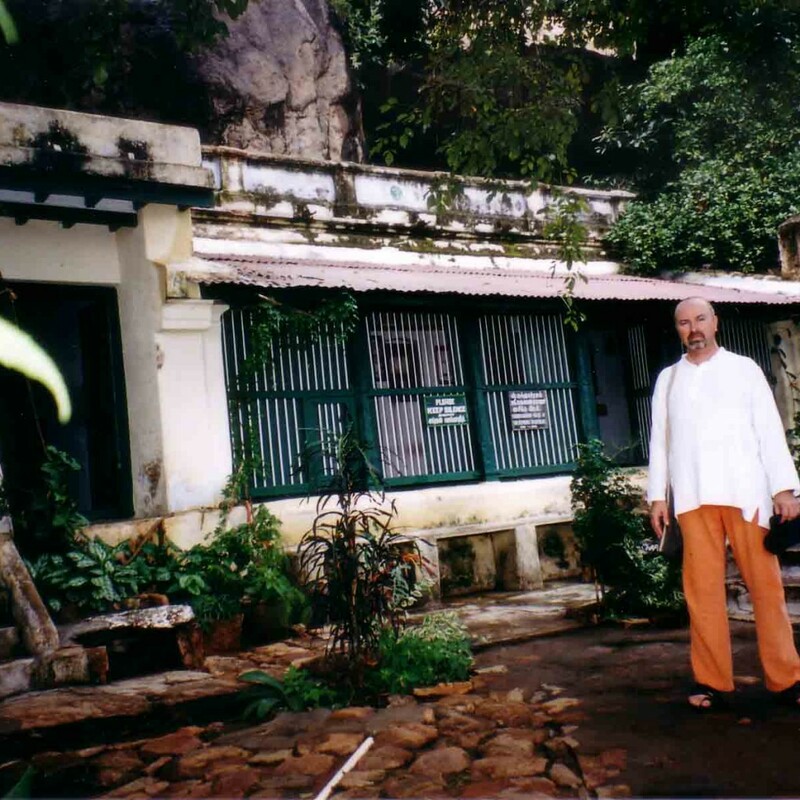 December 1999 embarked on my first trip to India as one of eight people on a five week sacred journey through Southern India, visiting Hindu Temples and Ashrams of Sri Ramana Maharshi, Ammachi and Sai Baba. Regular workload of teaching an average of twenty classes per week and conducting workshops in Sydney and regional areas. 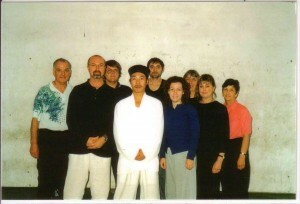 May 2002 attended a workshop on Sheng Zhen Qigong conducted by Master Li Jun Feng. 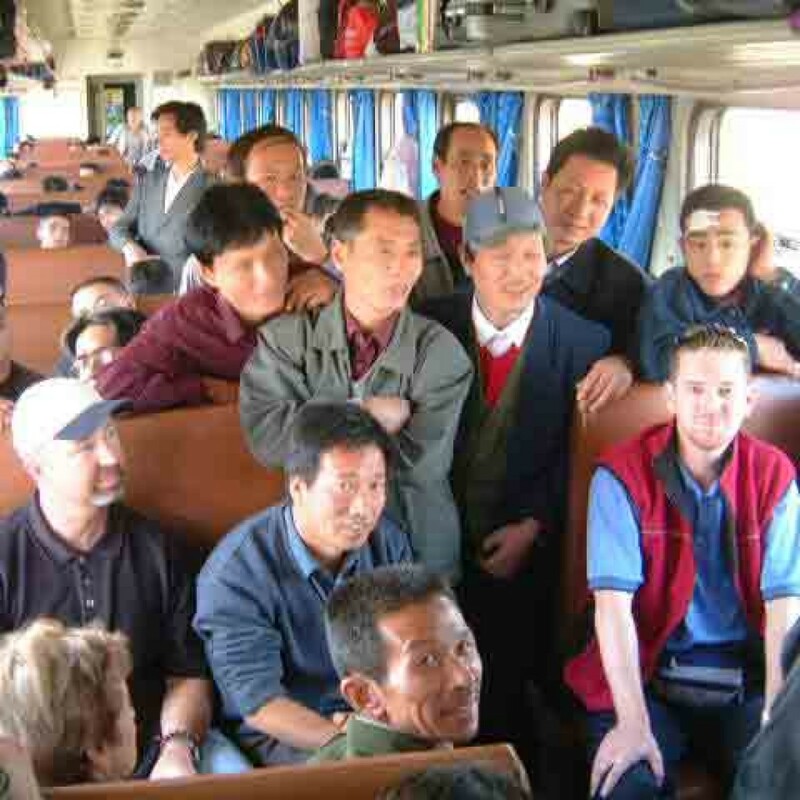 September 2002 led my third tour to China. 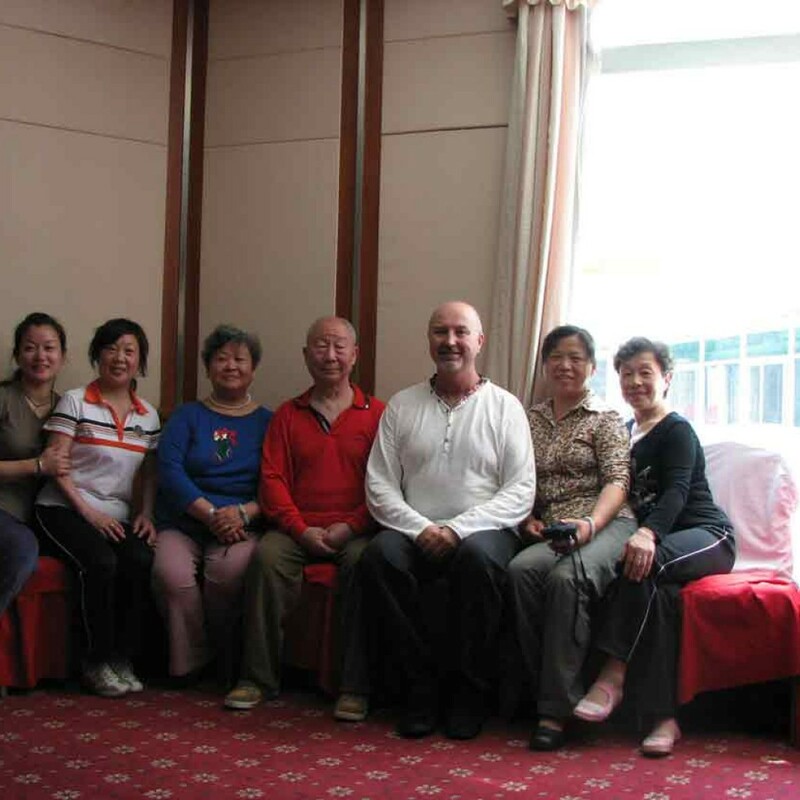 In Beijing we toured the Xiyuan Hospital meeting Dr Xu Hongtao, Professor of Qigong and Massage Department. 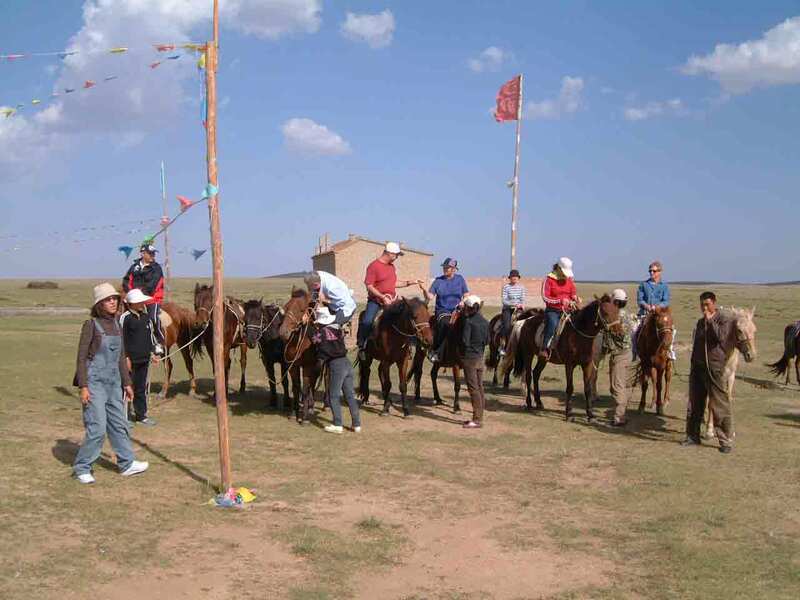 We also visited Inner Mongolia, Nanjing and Shanghai. 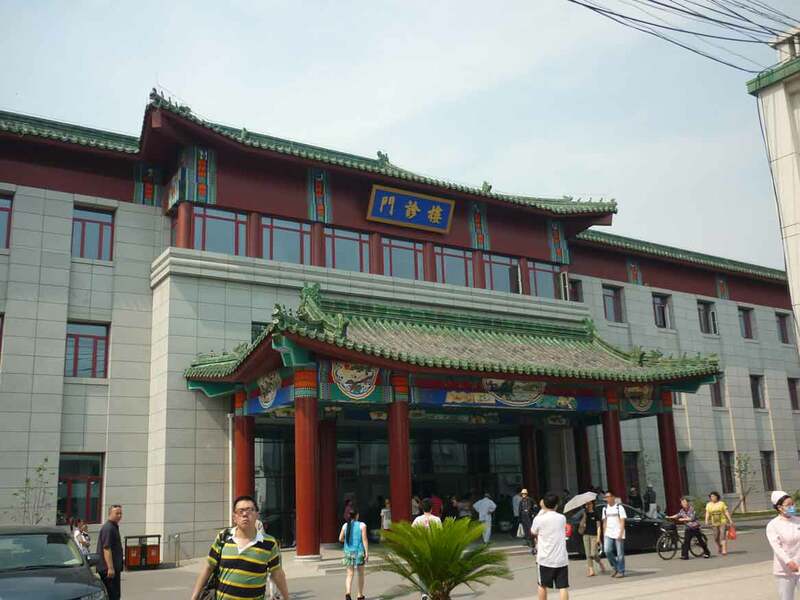 Here we visited the Shanghai Qigong Institute of Shanghai TCM University and met with Dr Chu Wei Zhong. 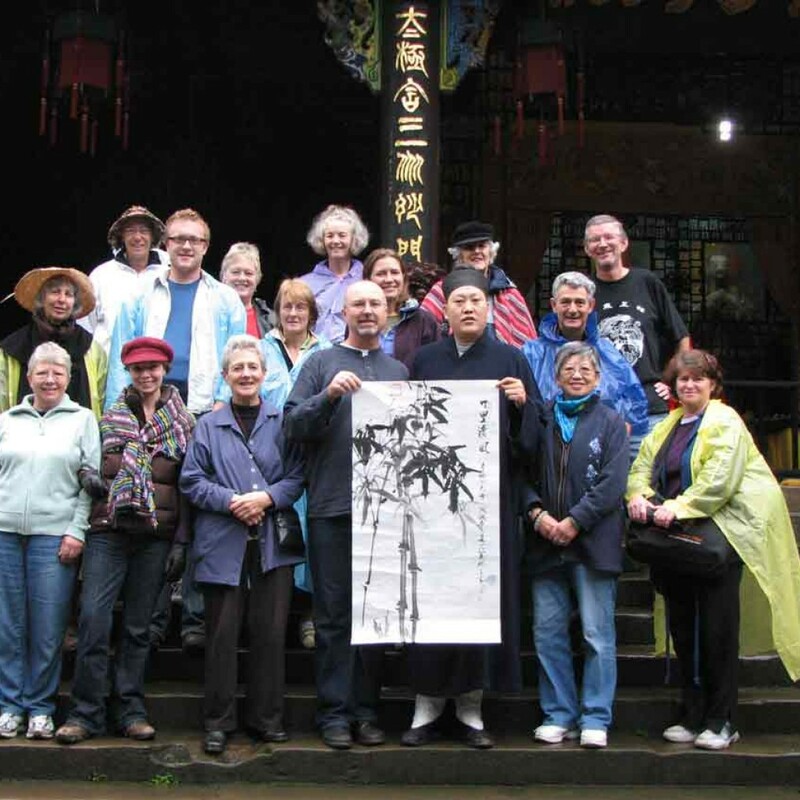 2002 I produced my second video ‘Absorbing the Essence’ including the two forms that I learnt at Wudangshan – Dan Fang Ba Duan Jin, sitting form and Tai Chi Hunyuan Zhuang Qigong. Produced a video for my good friends at the Sunnataram Forest Monastery, a Thai Buddhist Monastery in the Southern Highlands, a few hours south of Sydney. 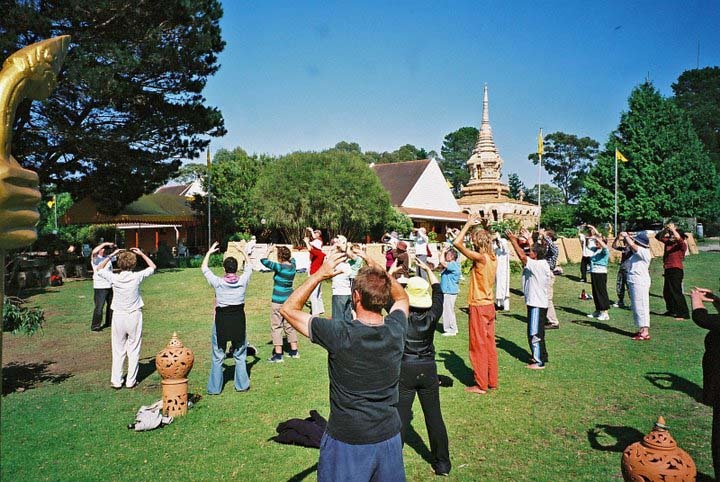 The Abbott, Phra Mana also instructs Tai Chi/Qigong and uses it in his teachings of meditation. I filmed my video here and donated my time and resources to produce the video ‘The Flow of Happiness’ which the Monastery uses to raise funds to help build the Gratitude Pagoda enshrining the Buddha’s relics. 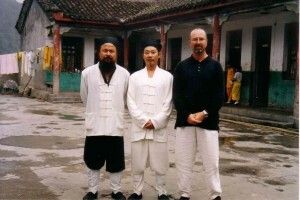 2003 I converted my two videos to DVD format and completed more filming including my basic Qigong warm-up routine. 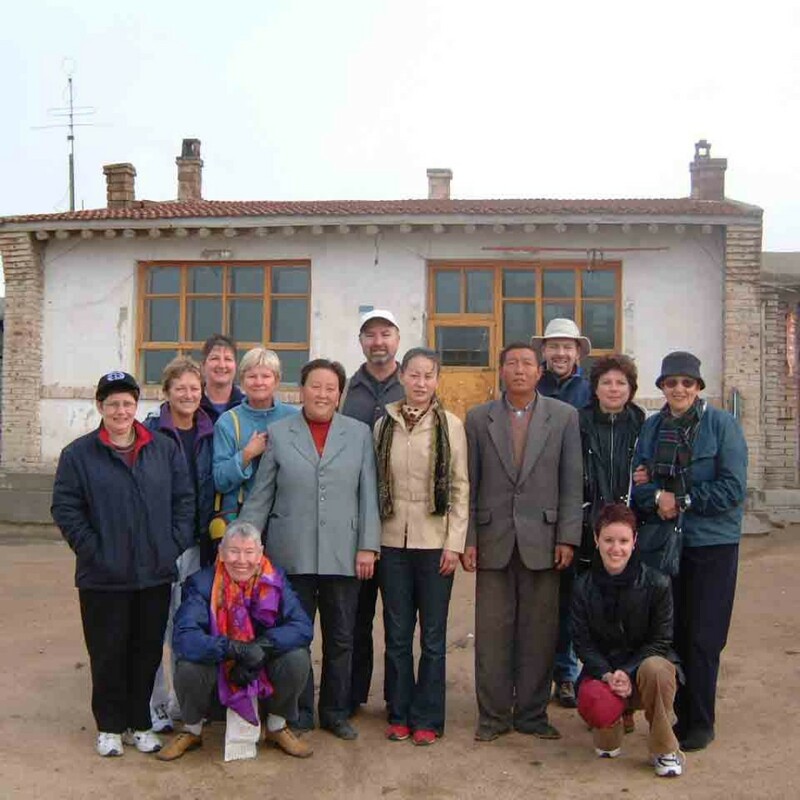 January 2003 to September 2005 teaching classes for the Salvation Army’s Drug and Alcohol Rehabilitation program, separate men and women’s groups. 2004 asked as a consultant to help produce a relaxation, meditation CD for the Encore Group. Encore is a part of the YWCA and is a National Health Dept funded project for people who have had breast cancer, also provide two of the voice tracks. 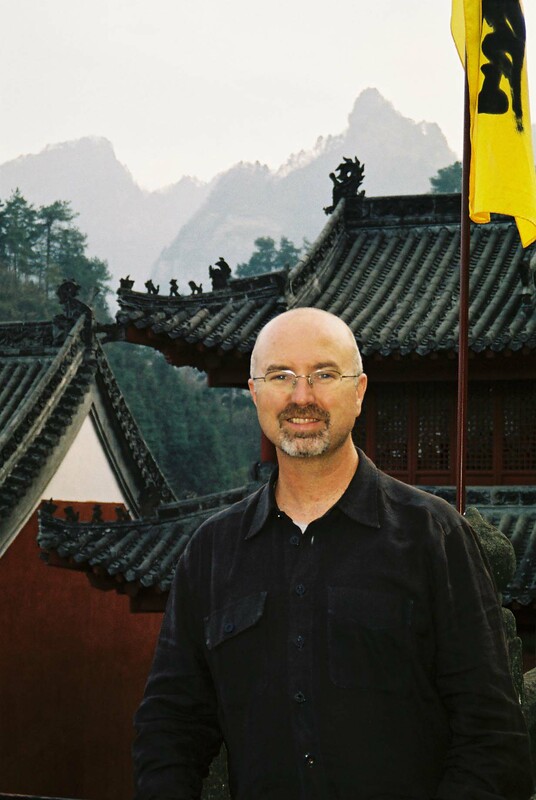 I have been giving my time voluntarily over a few years with talks and advice on the healing benefits of Qigong. 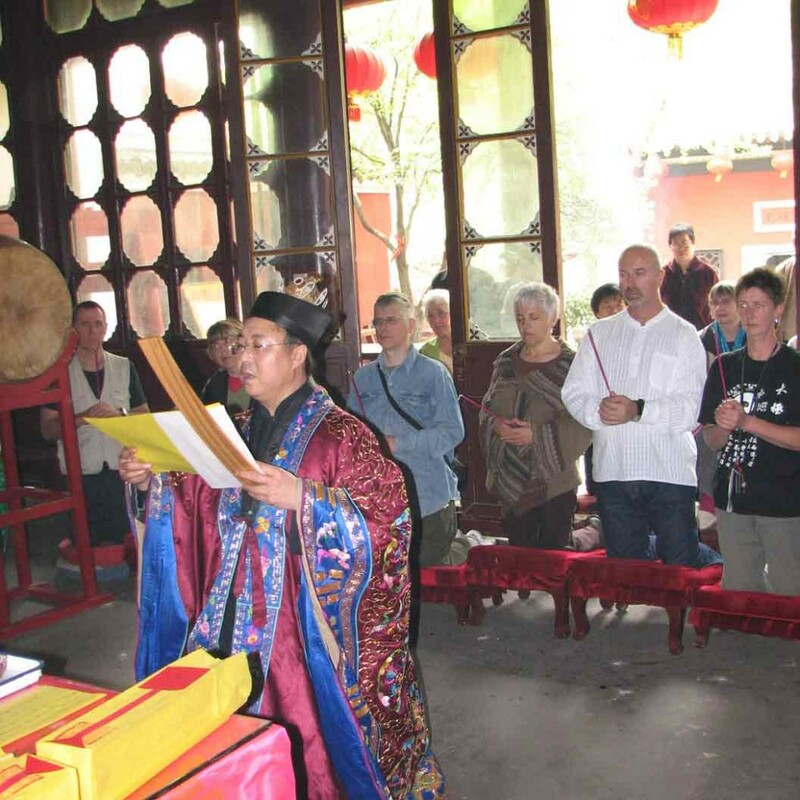 2003 commenced a research program with the groups at We Help Ourselves (WHOS) comprising a survey on the effects of Qigong practices as an aid to recovery from drug dependence. 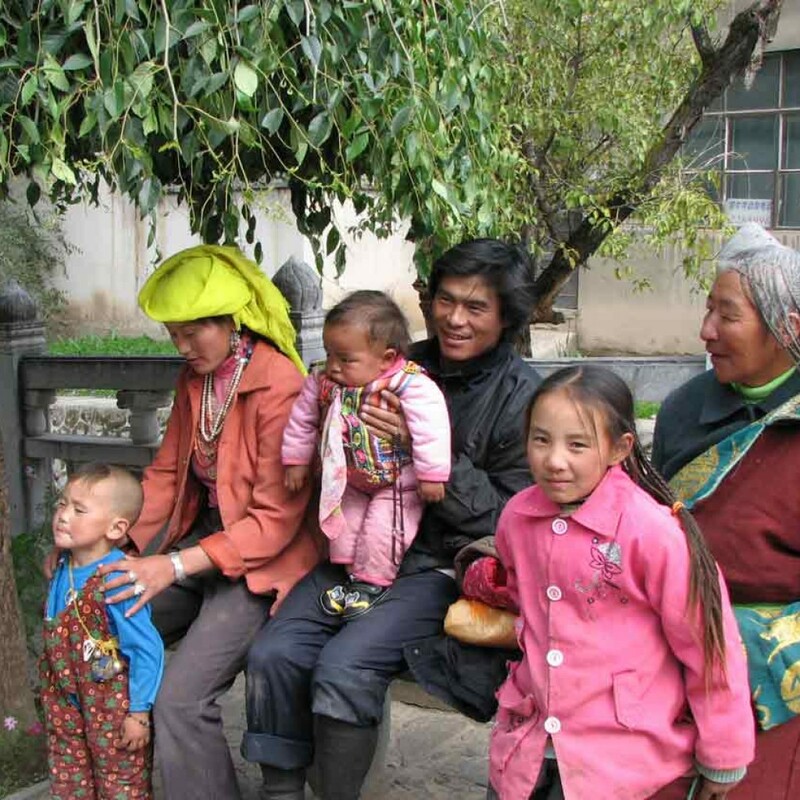 I will present these findings at a World Medical Qigong Conference in Beijing, May 2004. April 2004 to December 2005 lead groups at Myrtle Place, a Government supported drop in centre for people with HIV. Centre closes December 2005 due to cut in funding from State Government. 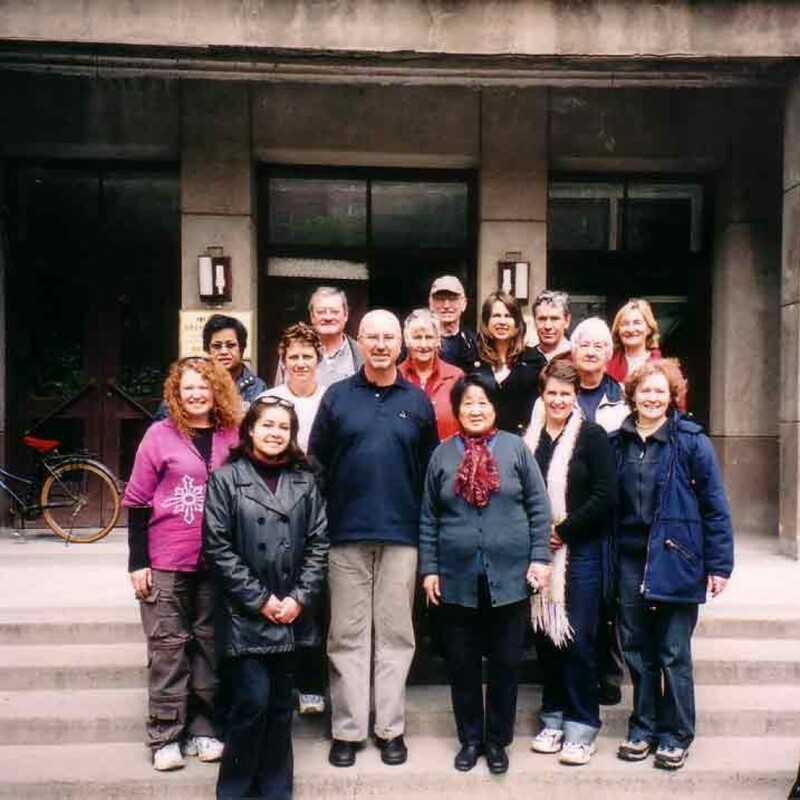 May 2004 five days intensive training at the Xiyuan Hospital in Beijing, the Xiyuan Hospital is the largest teaching Hospital for Traditional Chinese Medicine in China with over 650 beds. 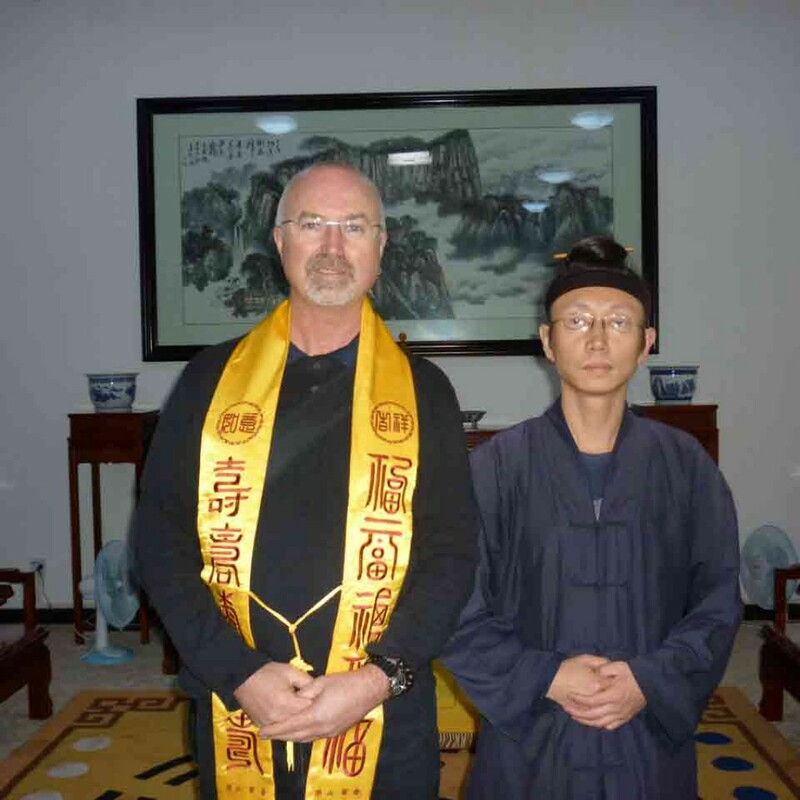 I live in the hospital and I am Professor Xu Hongtao’s personal assistant learning Guigen Qigong and the ways in which it can be used for healing. 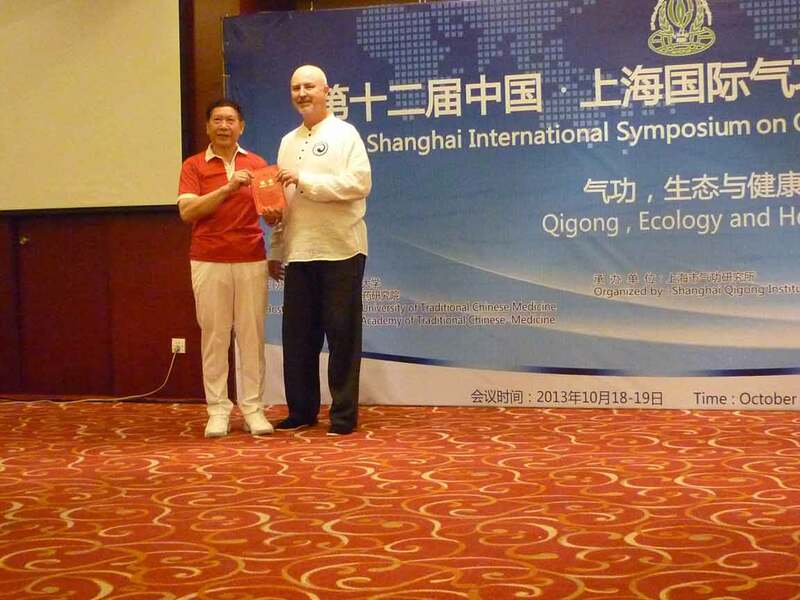 I receive World Health Organisation certification from the Xiyuan Hospital in clinical Qigong practise, the first Australian to receive this certification. 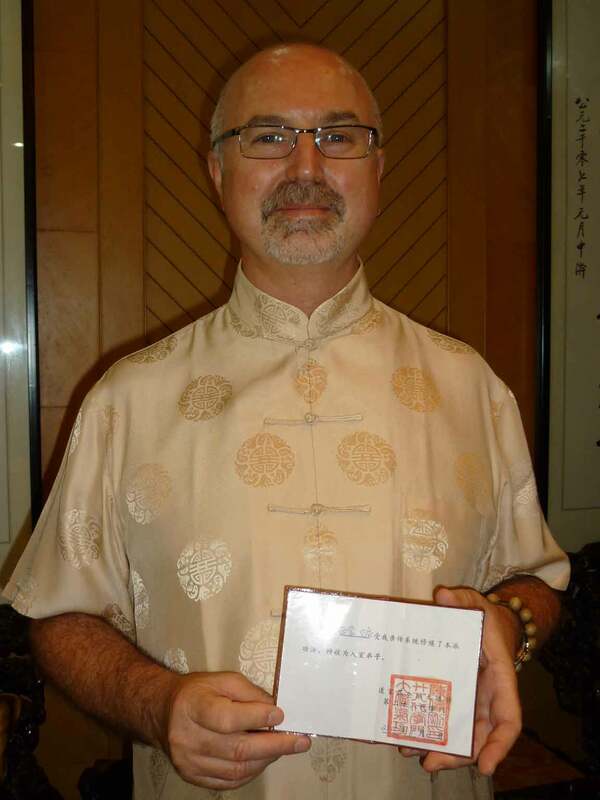 August 2004 produce my third DVD, Qigong – Restoring Natural Harmony on Guigen Qigong that Dr Xu had authorised me to make to help spread the benefits of this type of Qigong. 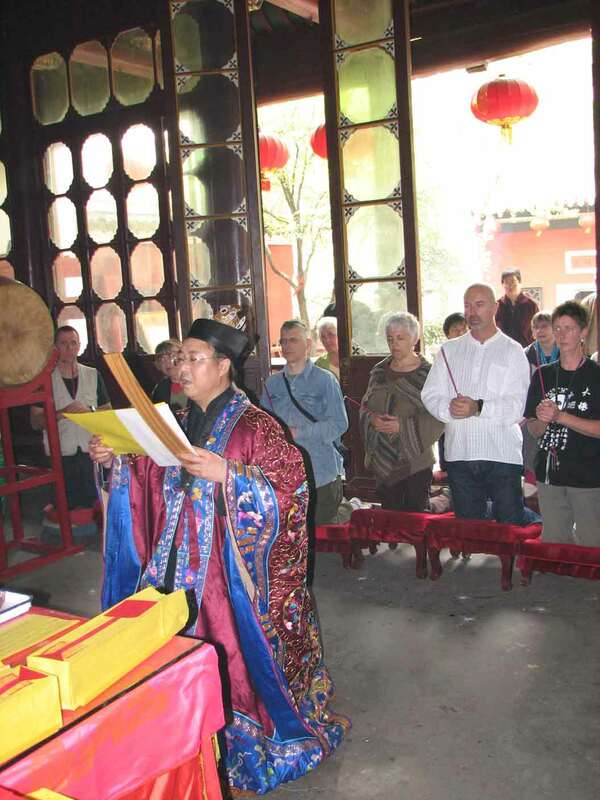 September 2004 lead my forth study tour to China, visiting Beijing, Xian, Qingchengshan, Wudangshan (receiving certification from the Purple Cloud Monastery), Wuhan and Shanghai. Regular workload teaching eighteen classes per week and conducting regular workshops in regional areas. 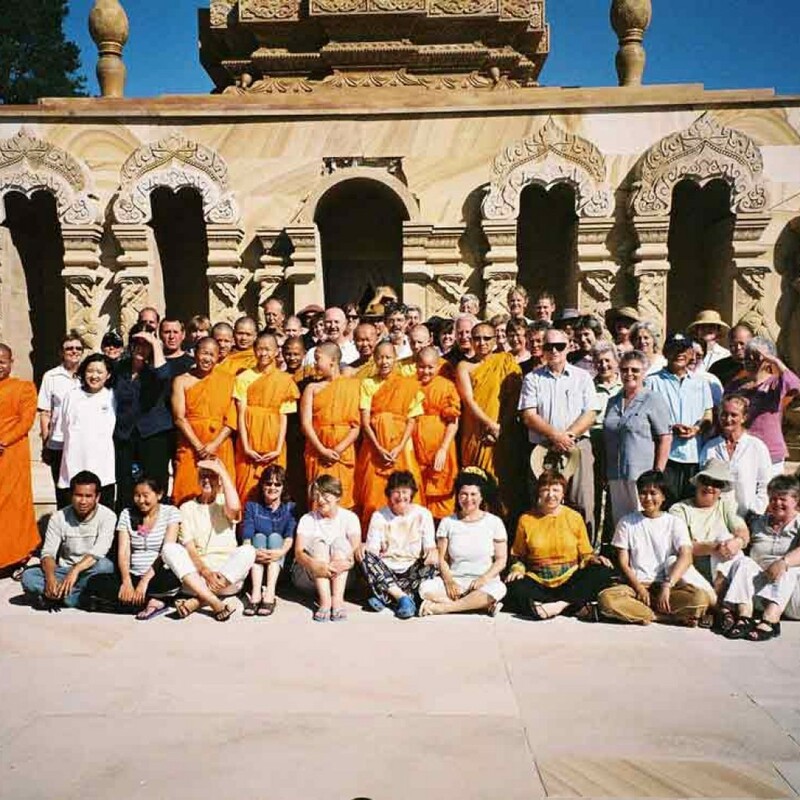 2005 organise regular Sunday class, once a month at Sunnataram Forrest Monastery, a Thai Buddhist Monastery at Bundanoon, in the Southern Highlands south of Sydney. April 2005 lead my fifth study tour to China, this is a professional certification tour. 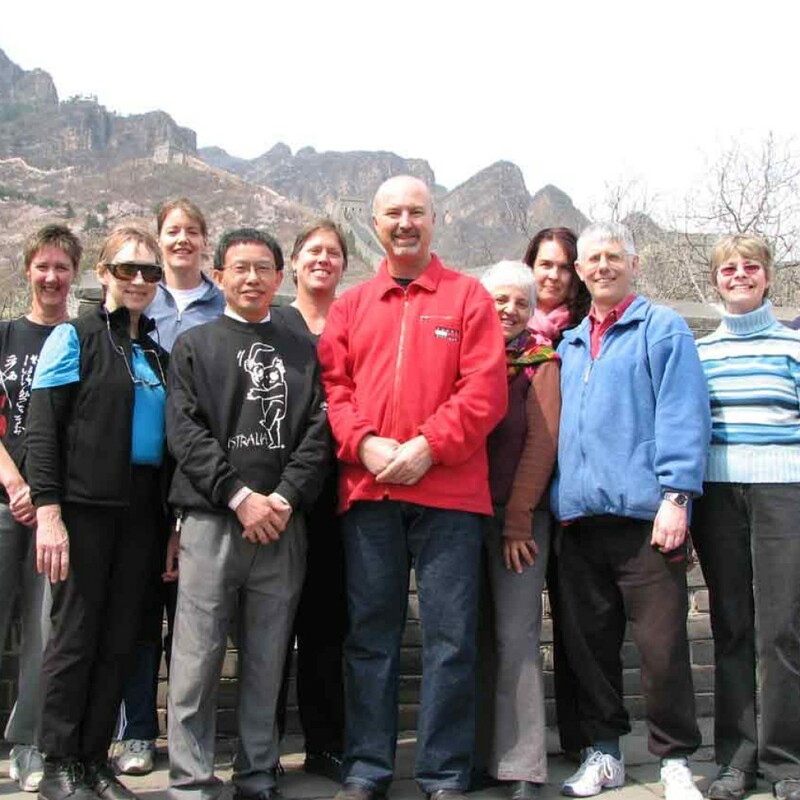 Twenty, Tai Chi/Qigong, Yoga teachers and Natural Therapists, four full day’s Medical Qigong instruction from Professor Xu Hongtao and receiving certification from the World Academic Society of Medical Qigong. 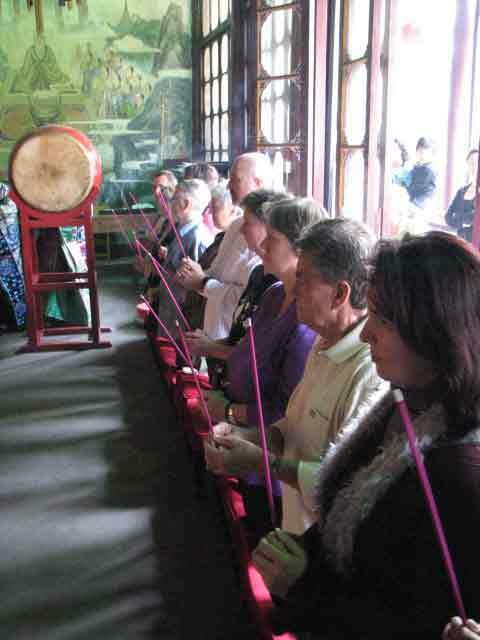 We also spend five days at the sacred Wudang Mountain receiving Taoist Qigong and Meditation training from the monks at the Purple Cloud Monastery. 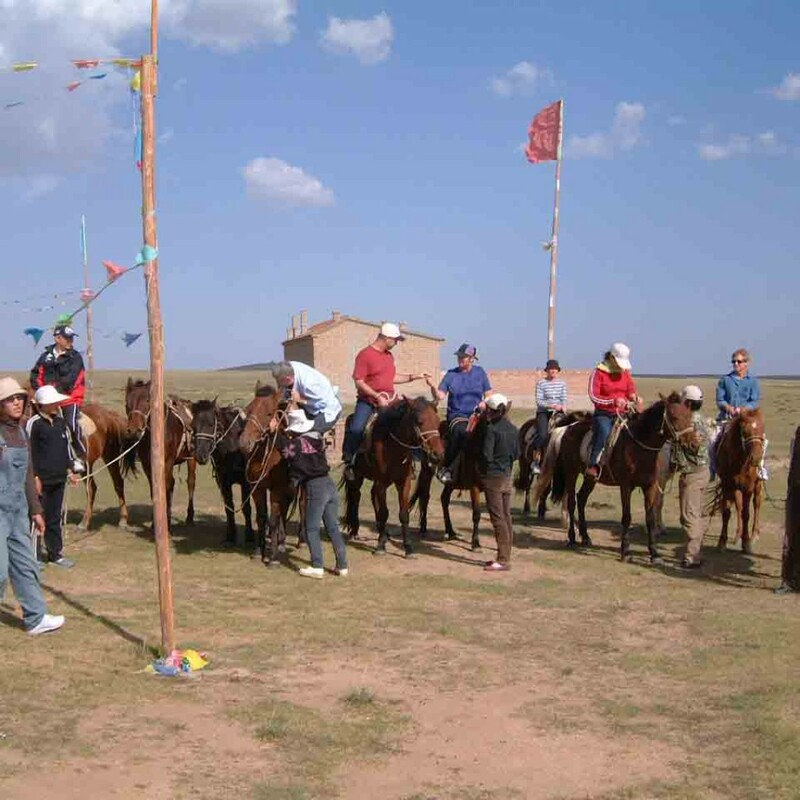 September 2005 lead my sixth study to China, visiting Beijing, Inner Mongolia, Taishan and Shanghai. 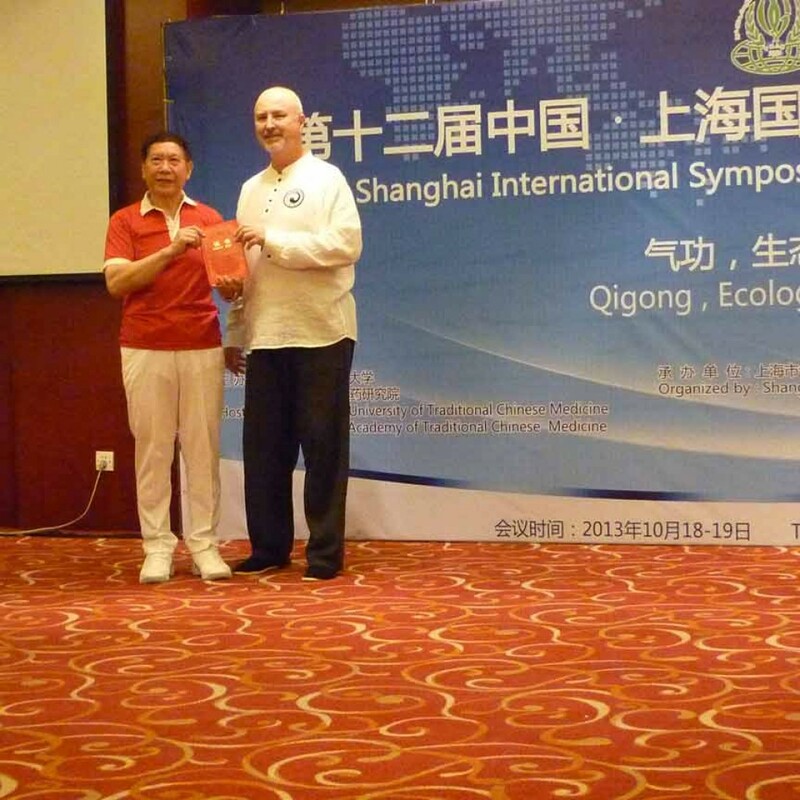 In Shanghai, meeting and having an exchange with officials and professors at the Shanghai Qigong Institute. 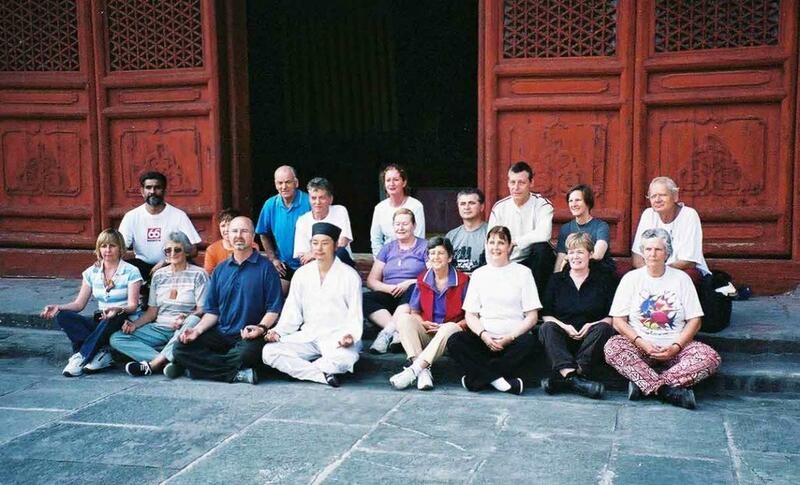 January 2006 hold my first five day residential Qigong and Meditation retreat at the Sunnataram Forrest Monastery, forty people in attendance. January 2006 asked as a consultant to help produce a Meditation for Children CD, with Patrice Thomas an early Childhood professional. A part of New World Music’s Meditation Room series, it will be released August 2006 in Australia, United Kingdom and Europe. Asked to conduct classes for the Council on the Aging (COTA) a national seniors group in the CBD area of Sydney. 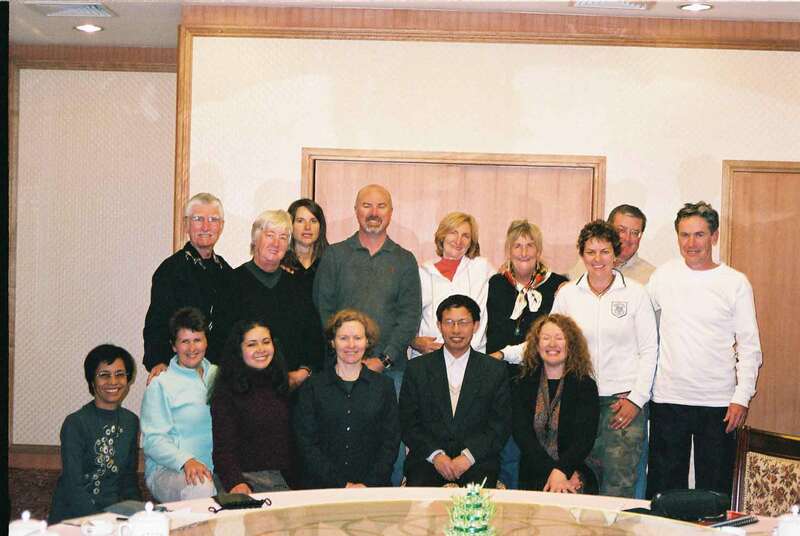 April 2006 lead my seventh tour to China and the second advanced certification group, four days with Dr Xu and five days Wudangshan. Fourteen people attending with three from Switzerland. 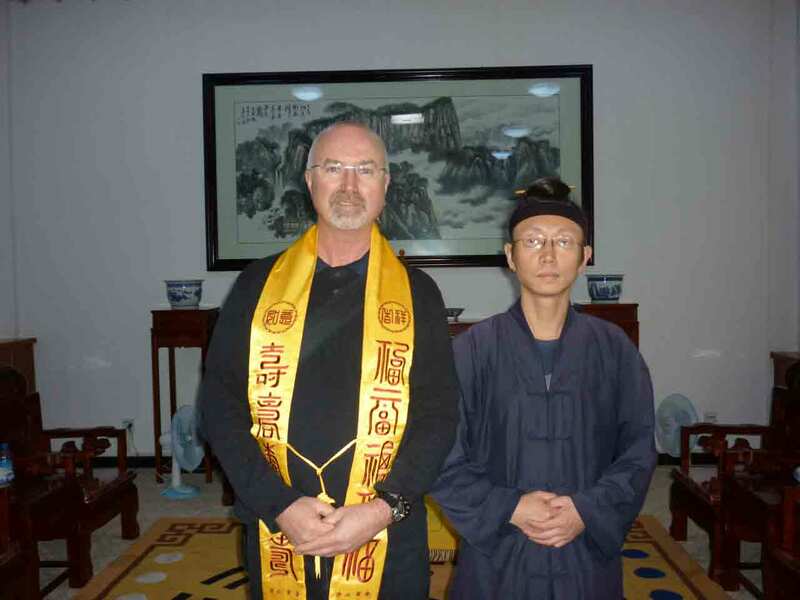 Elected to the Standing Council of the World Academic Society of Medical Qigong. May 2006 asked to produce a CD to help people Sleep for New World Music as part of their Meditation Room series. I will give the voice tracks and it will be released in September 2006. 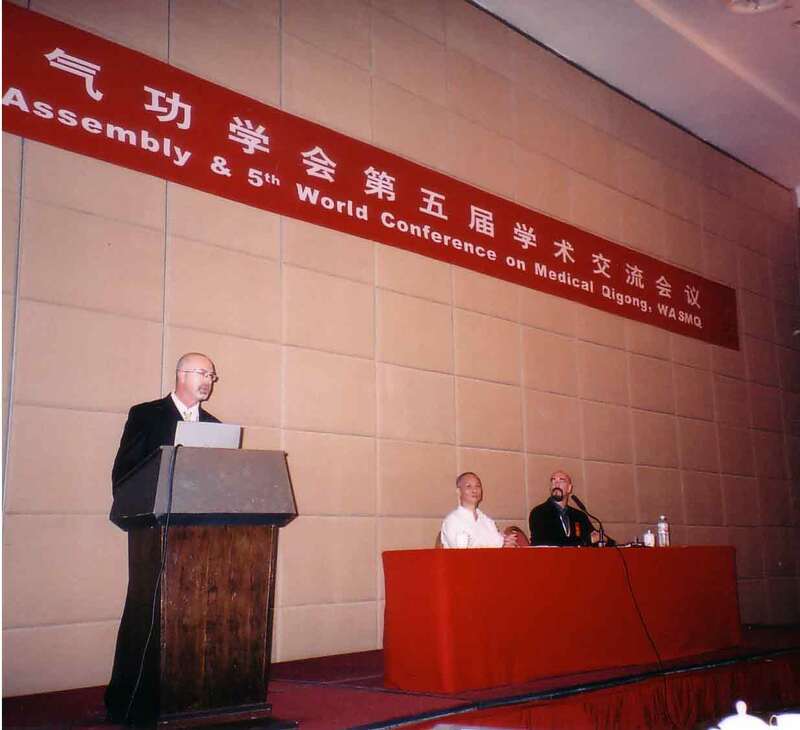 Attend Fifth World Conference on Medical Qigong, Beijing June 2006. A part of the executive committee and act as a chairperson helping with presentations of academic papers. 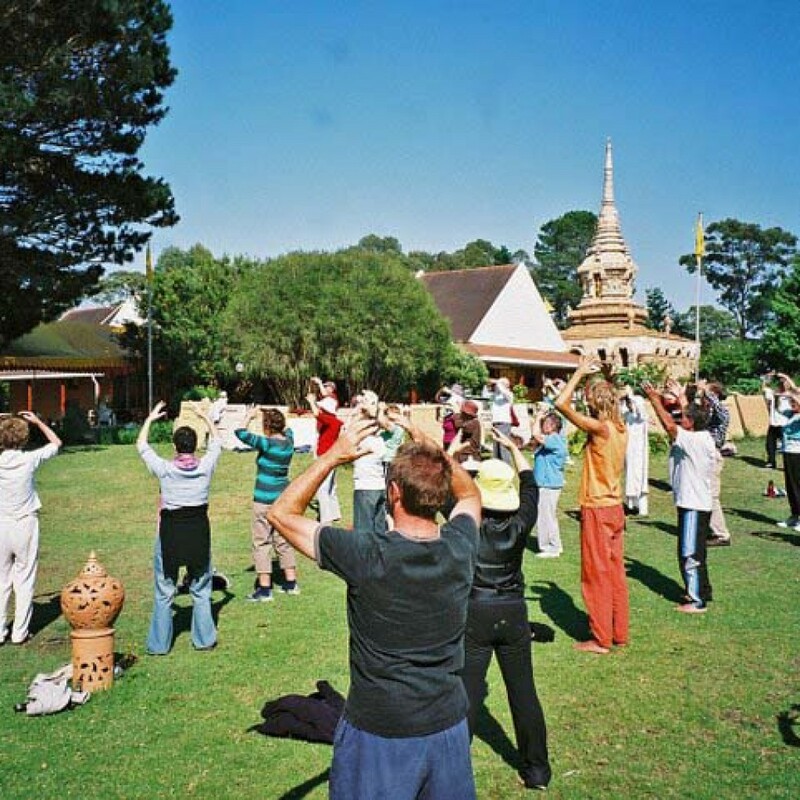 Give a presentation, Qigong in Australia. July 2006 produce my third Qigong Meditation CD, Return to Nothingness. 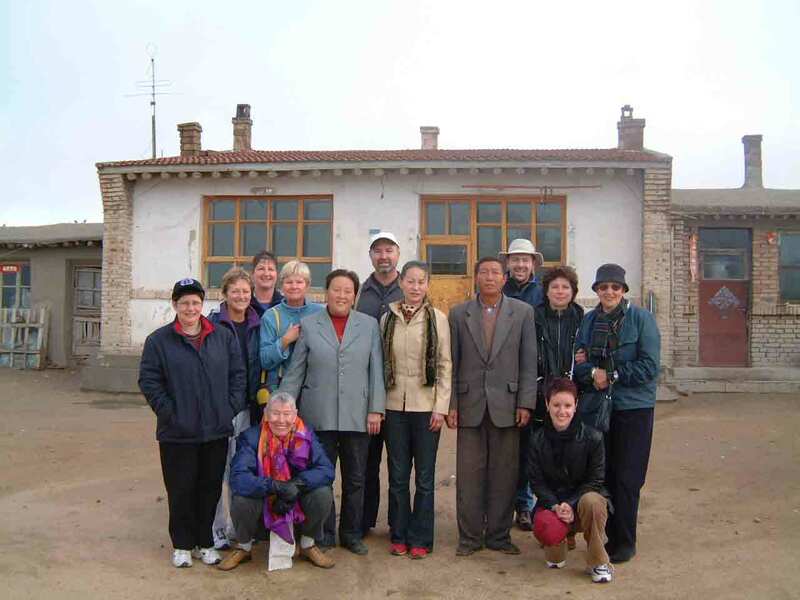 September 2006 lead my eighth study group to China, visiting Beijing travelling to Xianrentai (Immortal Platform) in Hubei province which is a Taoist Monastery high up in the mountains. 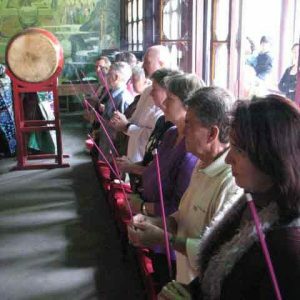 We were the first foreign group to visit and we spend two days receiving formal Taoist meditation and Qigong instruction. 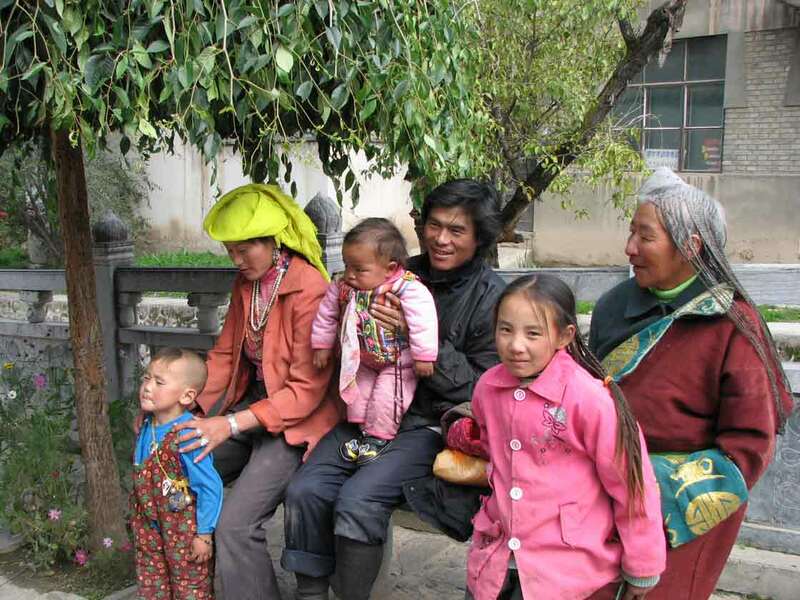 Out journey takes us onto Guilin, Kunming, Dali, Li Jiang and Shanghai. 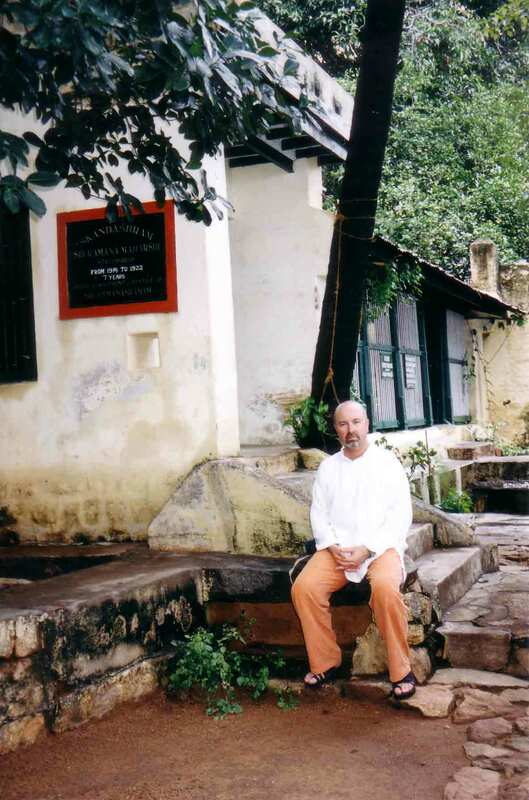 December 2006 commence producing a series of six Meditation CDs for Sunnataram Forest Monastery. January 2007 hold my second five day residential Qigong and Meditation retreat at Sunnataram Monastery, fifty people in attendance. January travel to the USA, San Antonio Texas to conduct a series of workshops/seminars on Chinese Medical Qigong (Guigen Qigong). February 2007 assist Dr Byeongsang from The University of Sydney, School of Public Health with Cancer Quality of Life research project on Medical Qigong for Cancer Care. March 2007 conduct introduction seminars for COTA as part of Seniors Citizens Week. 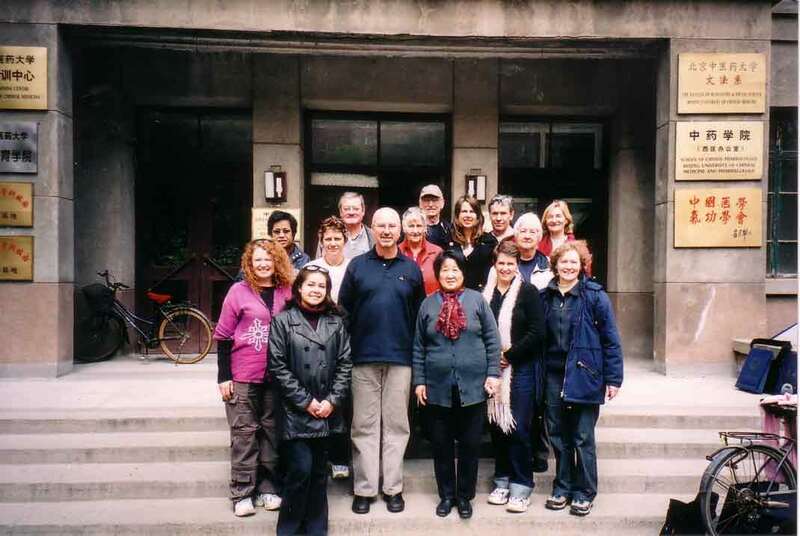 April 2007 lead my ninth study group to China and the third advanced certification group. Sixteen people attending one from USA and three from the UK. 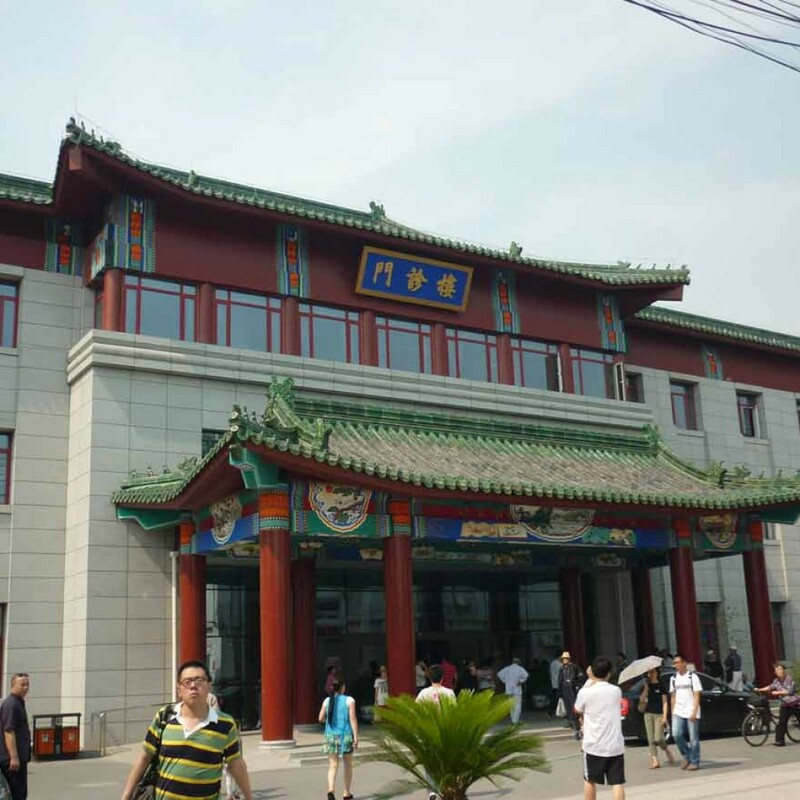 Four days with Dr Xu and five days Taoist training at the Changchun Temple in Wuhan, Hubei province. September 2007 lead tenth study group to China, visiting Beijing, Xian, Qing Cheng Shan (Green City Mountain), Chengdu, Wuhan and Shanghai. 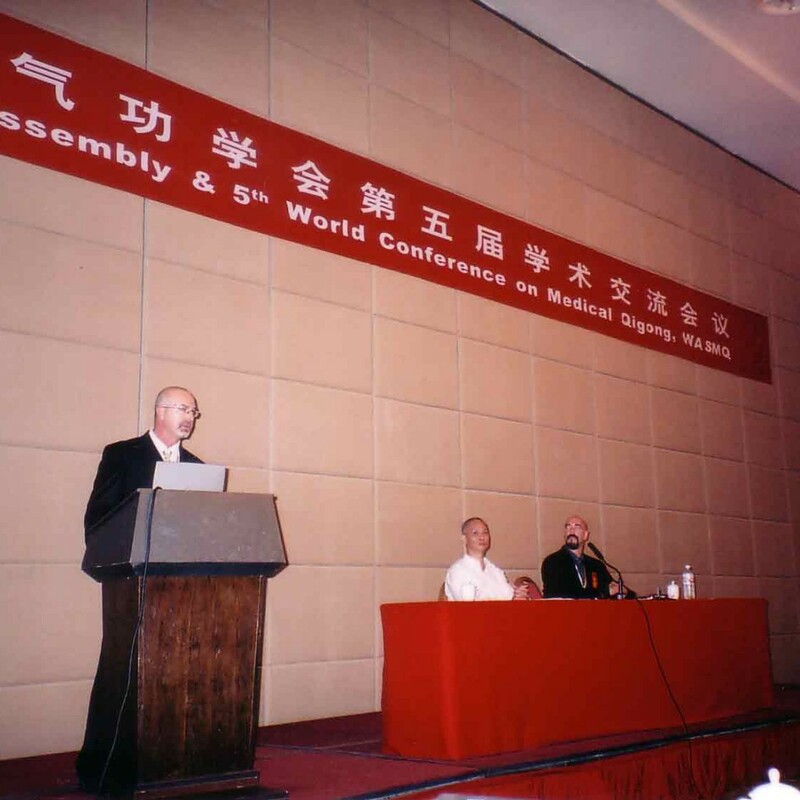 November 2007 attend meeting of the Executive Council of The World Academic Society of medical Qigong in Beijing. 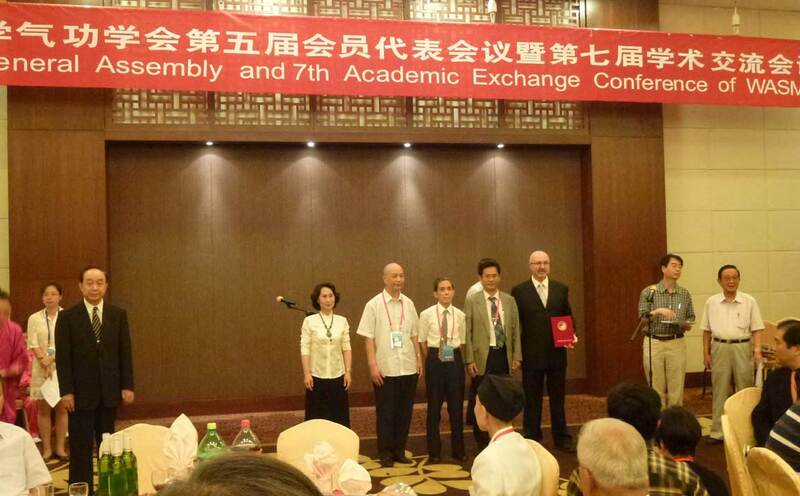 Act as Chairperson for Academic exchange of research paper. 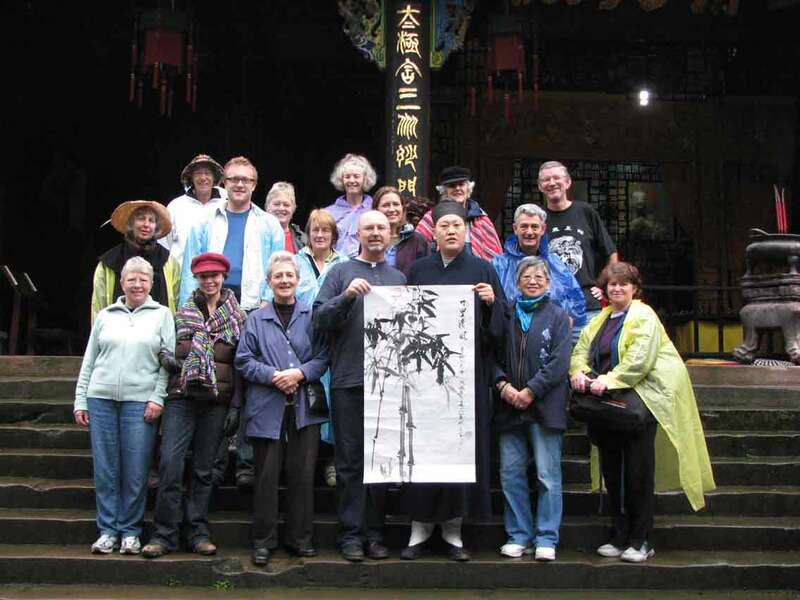 December 2007 conduct first five day residential training retreat at Sunnataram Monastery for advanced instruction in Guigen Qigong, Tai Chi Qigong Shibashi and Ba Duan Jin standing form. Ten people in attendance. Regular workload teaching eighteen classes per week and conducting regular workshops in regional areas and interstate. 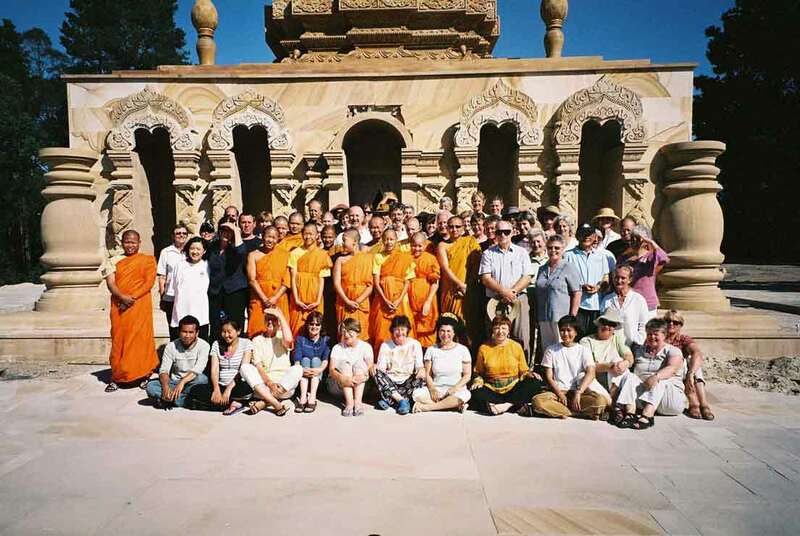 January 2008 hold third annual five day residential at Sunnataram Monastery, thirty people in attendance. Commence writing project of three fully illustrated books to act as companions to my DVD and CD series. 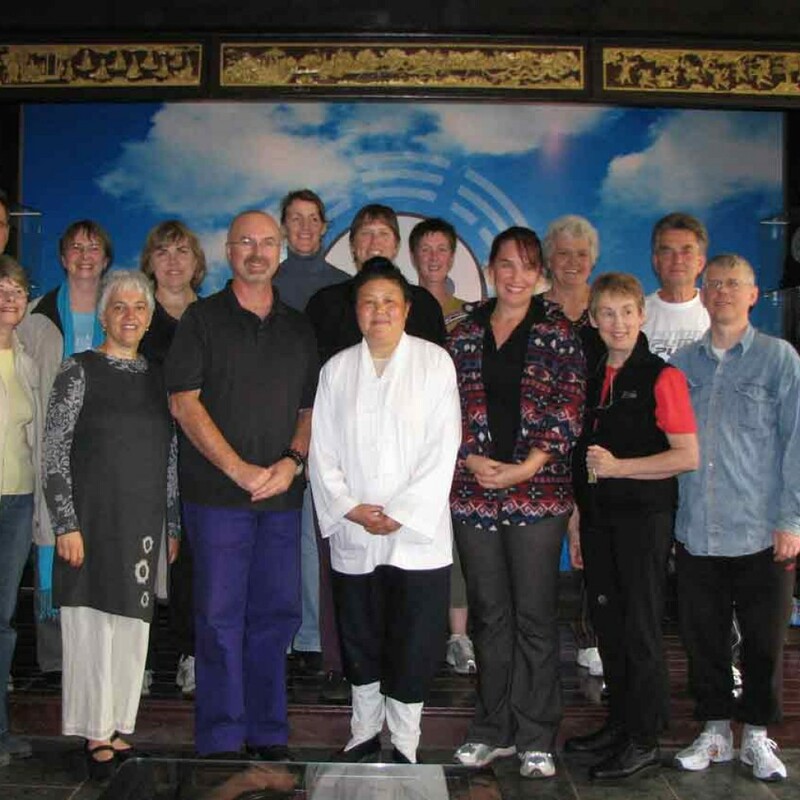 April 2008 conduct second five day residential training retreat at Sunnataram Monastery for advanced instruction in Sitting Ba Duan Jin and Guigen Qigong. 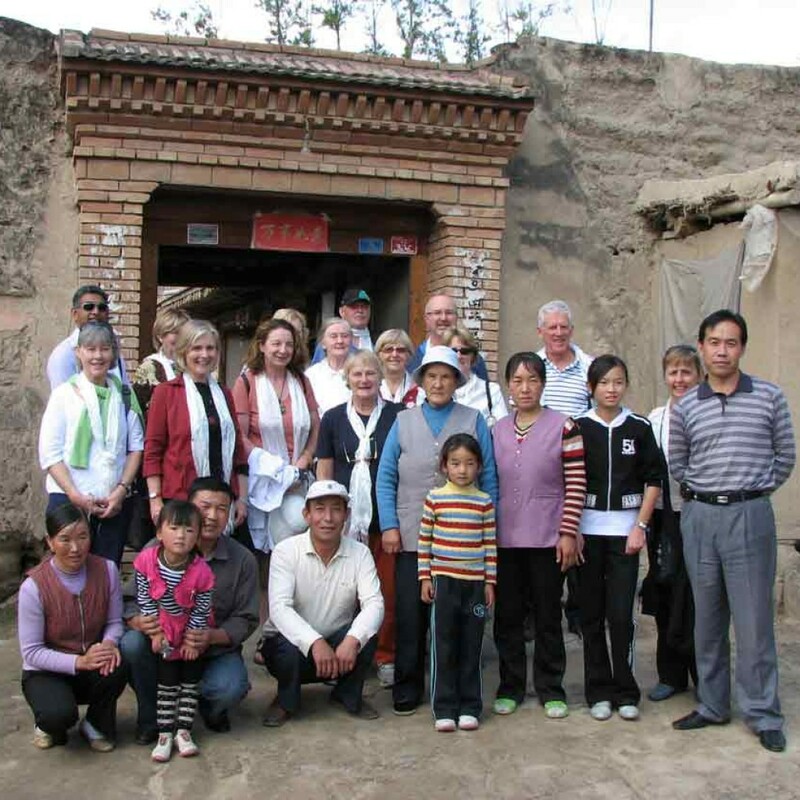 September 2008 lead eleventh Study tour to China, visiting Beijing, Xian, Lanzhou, Labuleng Monastery, Turpan, Urumuqi and Shanghai. December 2008 conduct third five day residential training retreat at Sunnataram Monastery for advanced instruction in the six healing Sounds Qigong and Great Stork Qigong. January 2009 hold forth annual five day residential at Sunnataram Monastery, thirty people in attendance. 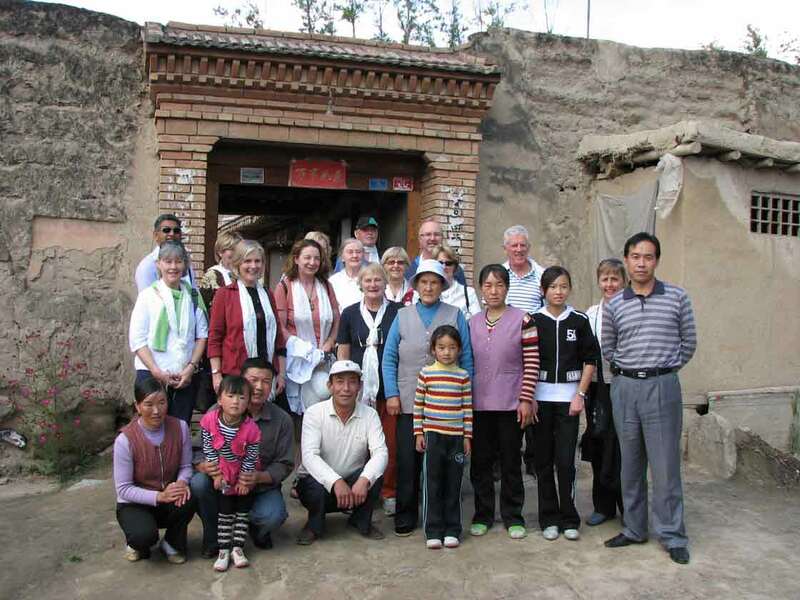 April 2009 lead twelve study tour to China with twenty students from across Australia the UK and US. 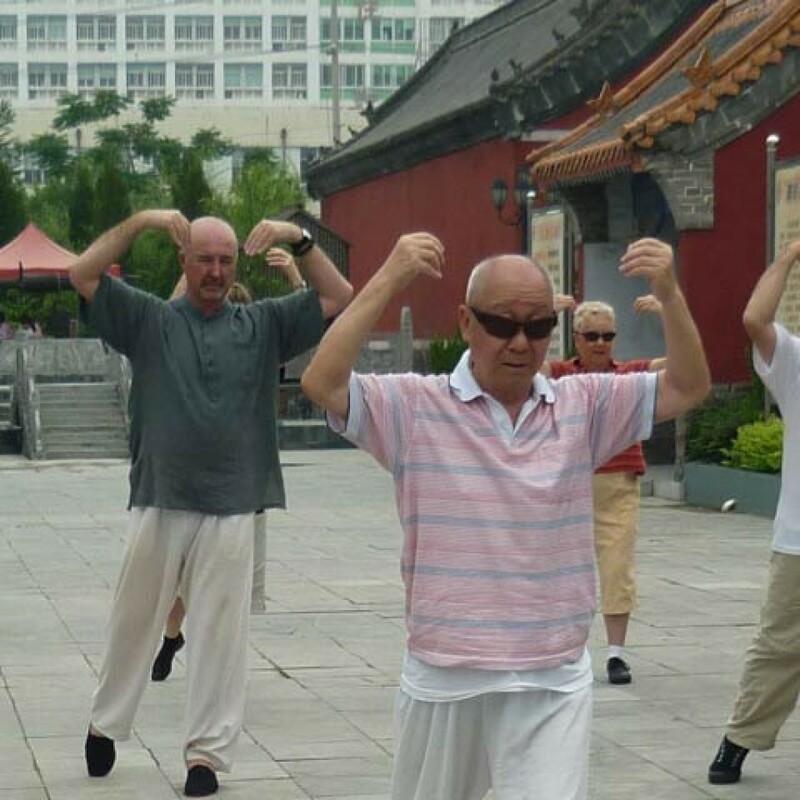 Studying Dayan Wild Goose Qigong from 28th linage holder Grand Master Chen Ghuan Gang in Wuhan, China. Also official visits to the Xiyuan Hospital, Beijing University of Traditional Chinese Medicine and the Shanghai Qigong Reasearch Institute. 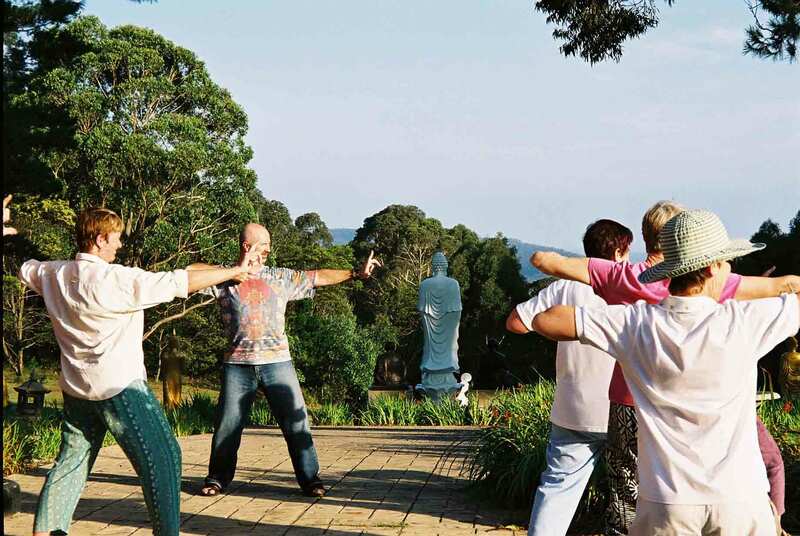 November 2009 conduct four day residential retreat on Wild Goose Qigong in Hervey Bay QLD. 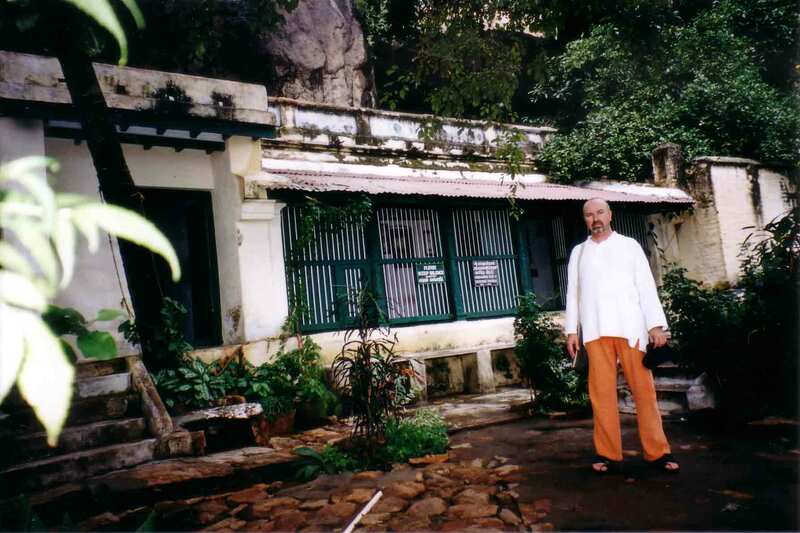 December 2009 travel to India on third private meditation retreat staying at Sri Ramana Maharishi’s ashram under the sacred mountain of Arunachala in Southern India. 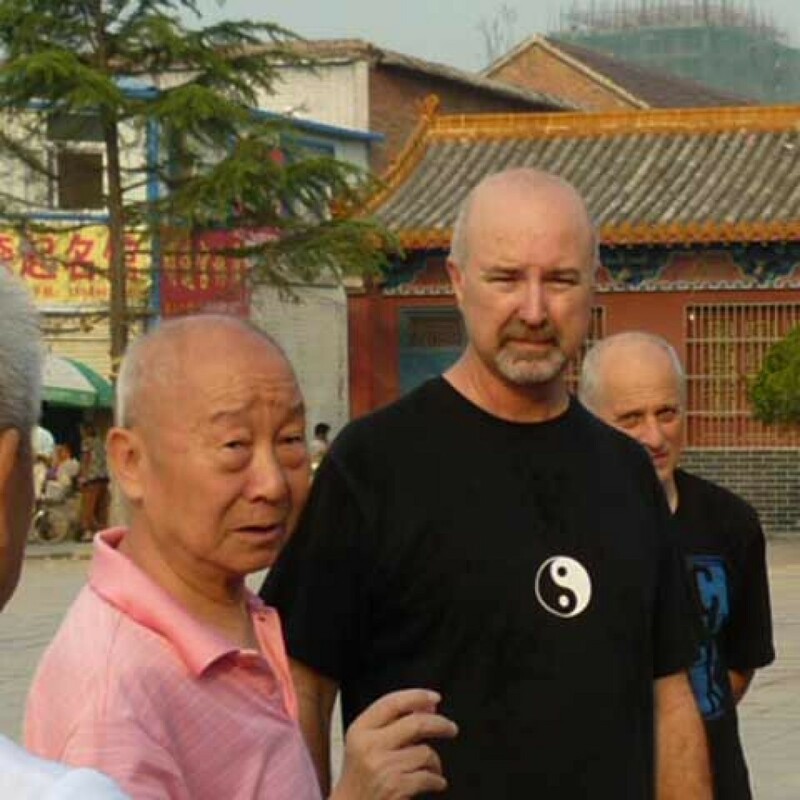 Attend 6th World Conference on Medical Qigong, Beijing June 2010. 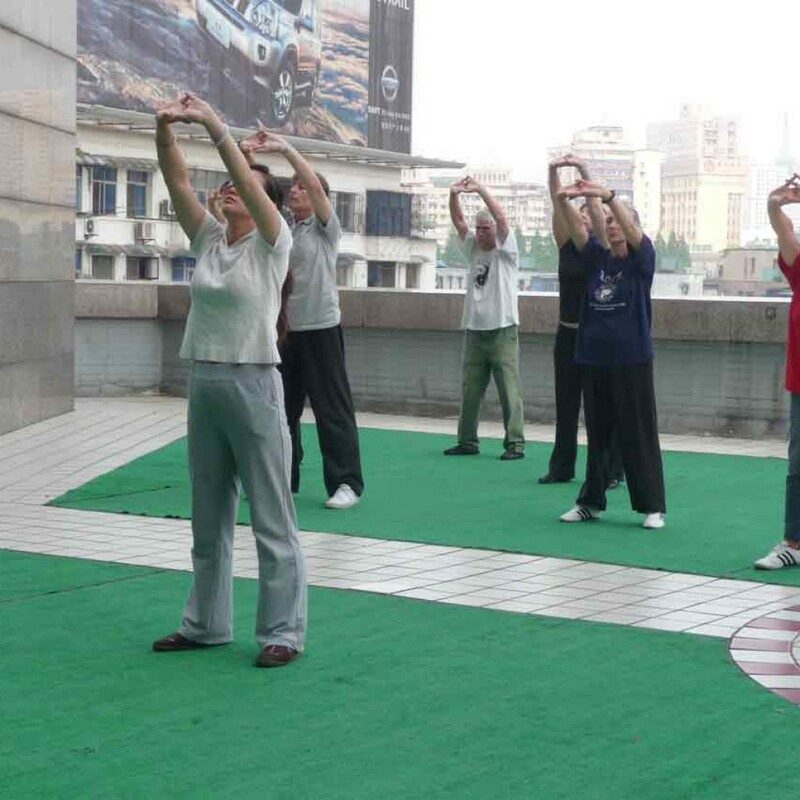 Receive Dedication Award and give demonstration and introduction lesson on Guigen Qigong. After Conference travel to Wuhan for private training in 2nd 64 movement Dayan Wild Goose with 28th linage holder Grand Master Chen Ghuan Gang. 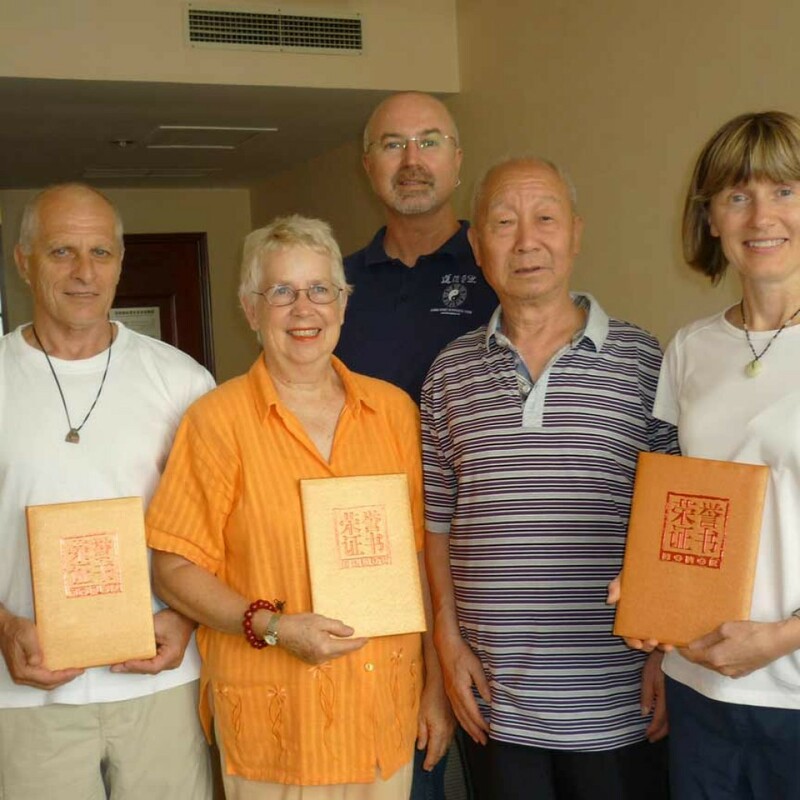 Receive official letter from Master Chen to be able to teach 1st and 2nd 64 movement Dayan Wild Goose Qigong. 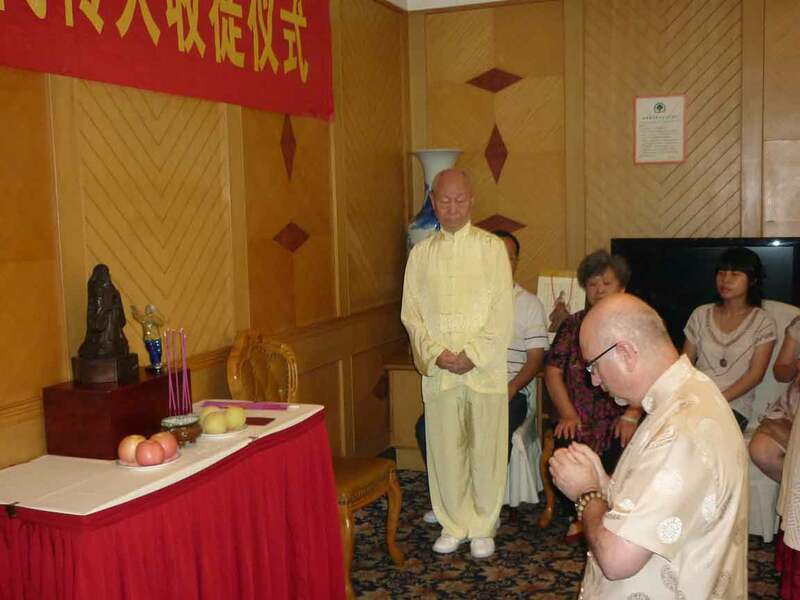 September 2010 lead Study tour to China receive 3 day training in Guigen Qigong from Dr Xu in Beijing, visiting Wuhan, Hangzhou, Putuoshan and Shanghai. Regular workload teaching regular weekly classes and conducting regular workshops and residential retreats in regional areas and interstate. Including Queensland, NSW, Victoria and Tasmania. May 2011 Complete 3 x Children’s Meditation CD series with Patrice Thomas. 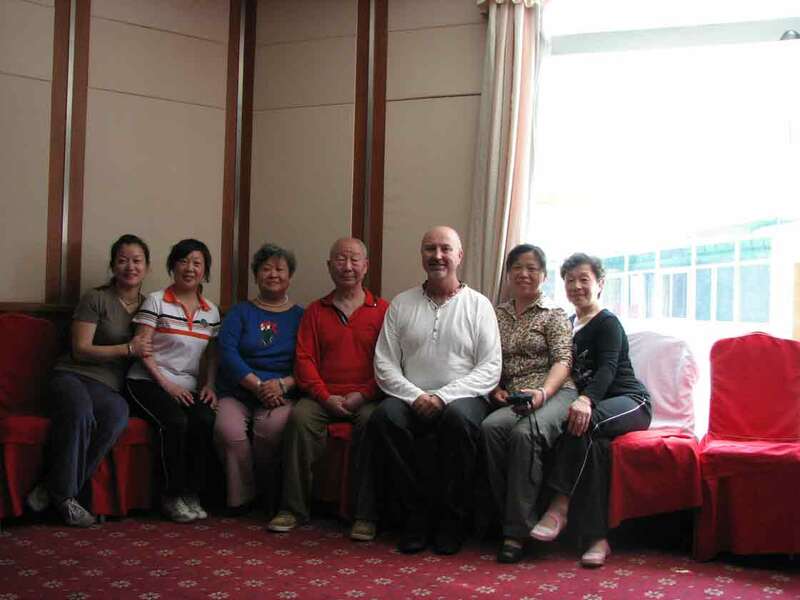 June 2011 Lead advanced training tour to China, studying Dayan Wild Goose 2nd 64 movement with Master Chen. At Luyi County in Hernan province, the birth place and home town of Laozi.